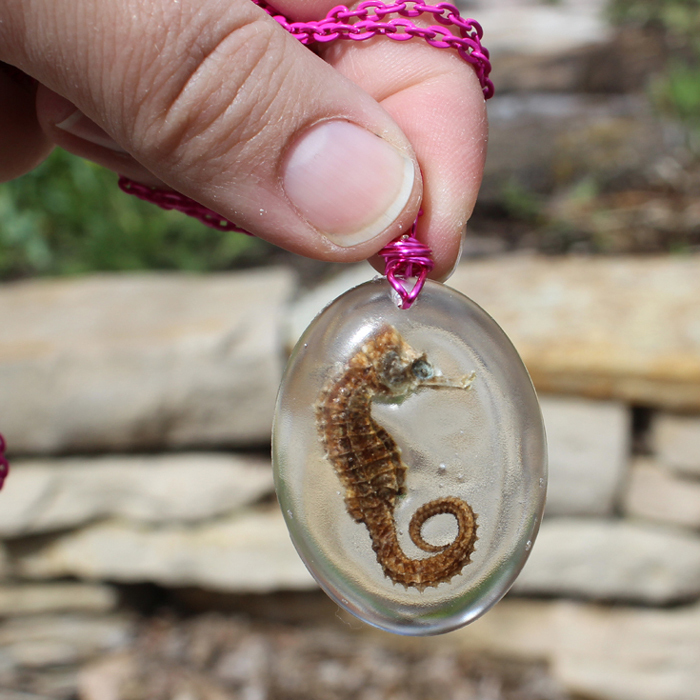 This adorable seahorse pendant is awesome…but might be a little disturbing to some folks. We love jewelry that makes a statement. 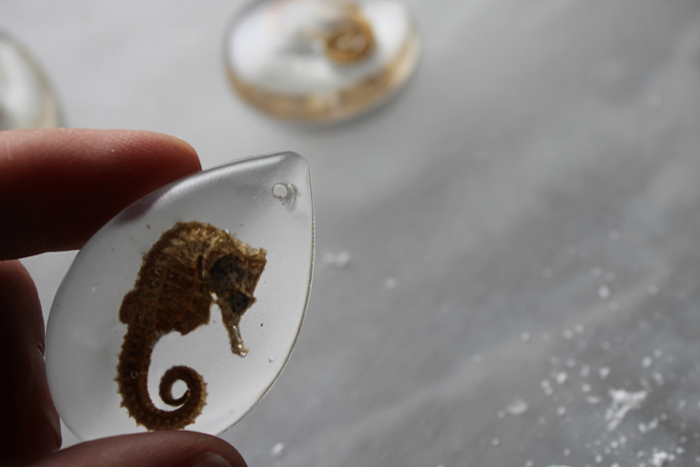 If cute seahorse bodies isn’t your thing, think about other fun things you can embed in resin to make stunning jewelry. 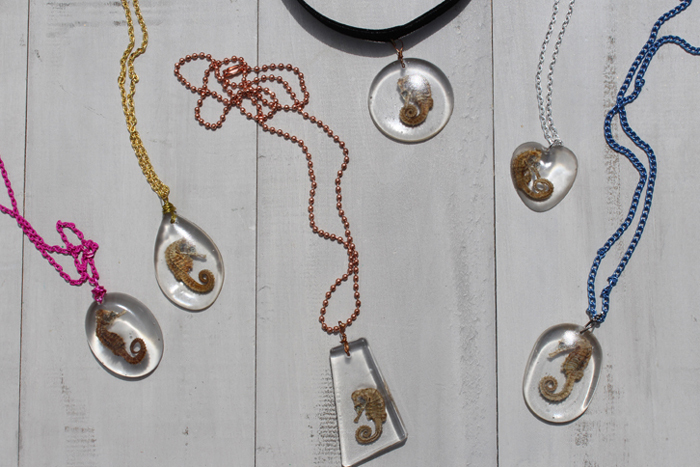 These seahorses are similar to these beetle necklaces I made a couple years ago. We like these creepy pieces for their wow factor. 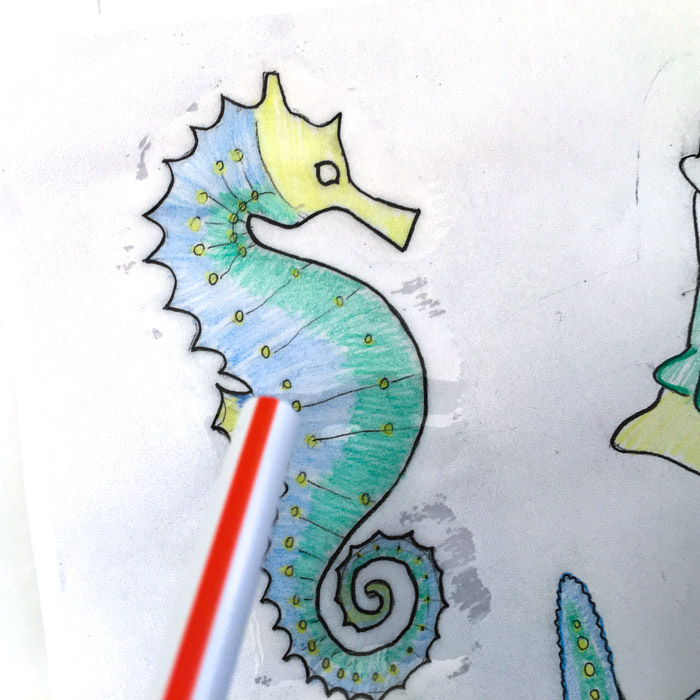 So let’s talk about the seahorse or hippocampus. 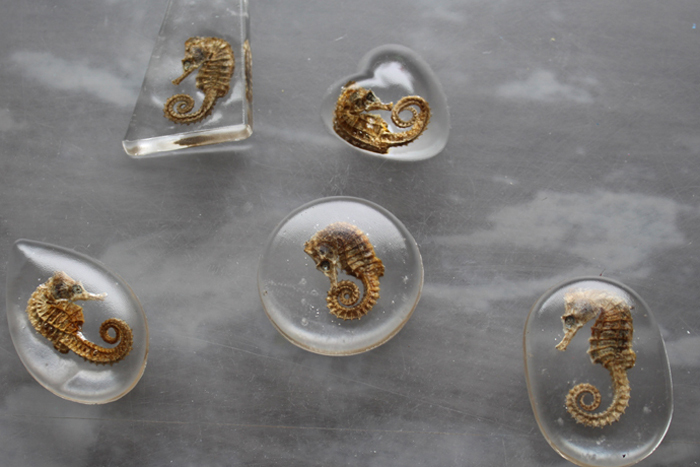 Seahorses are popular in Asia for eating, infusing in liquor and teas. So…this necklace feels a little less disturbing. 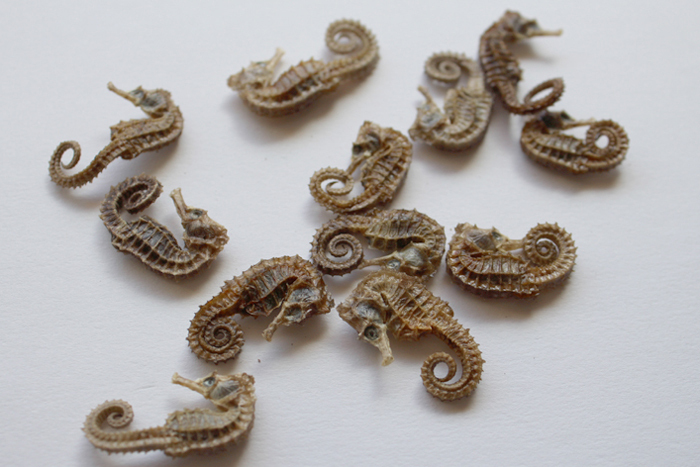 I got a dozen seahorses on Etsy. They are a little creepy, not going to lie. Read the resin and hardener directions carefully before beginning. Make sure you have everything set out and ready before mixing the resin. I mixed up a bunch of resin because I was doing multiple projects at the same time. You only need enough resin to fill up half of the desired molds. Fill them about 1/8 to 1/4 inch full and let them set a couple hours. 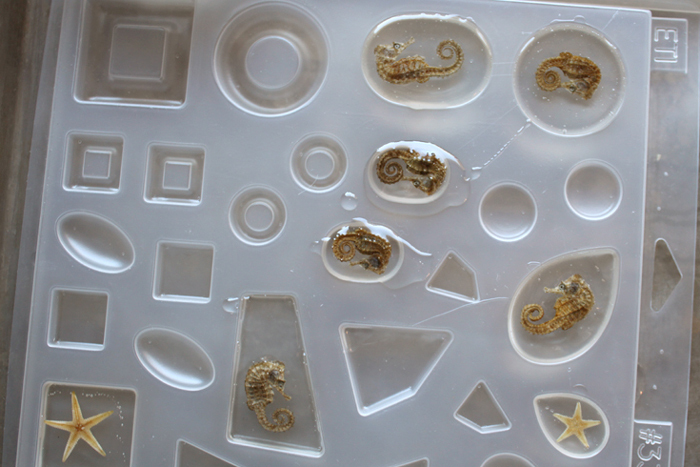 Then set the seahorses right on top of the resin. If it sinks to the bottom…pull it out gently and wait a little longer. You want it to sit right on top of that layer of resin. 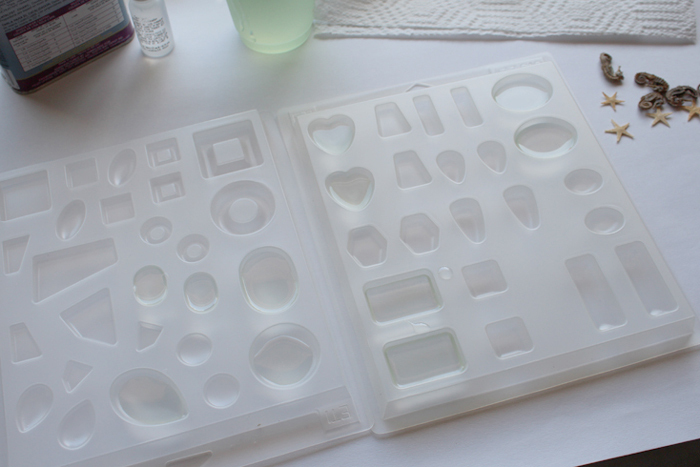 Then mix up a little more resin and fill the molds with the resin. I should have used a dropper, but I just poured it. It’s easy to clean up after it’s done. Let them harden for a few days. Pop them out of the molds and let them sit out another day or so. Next, use a small drill bit and add a small hole at the top close to the edge. Use caution so you don’t drill through the edge. Now they are ready to add to necklaces. I used some wire and wrapped a loop on the top. Then I used some velvet ribbon for the perfect choker. Hook it to the ribbon with a jump ring! 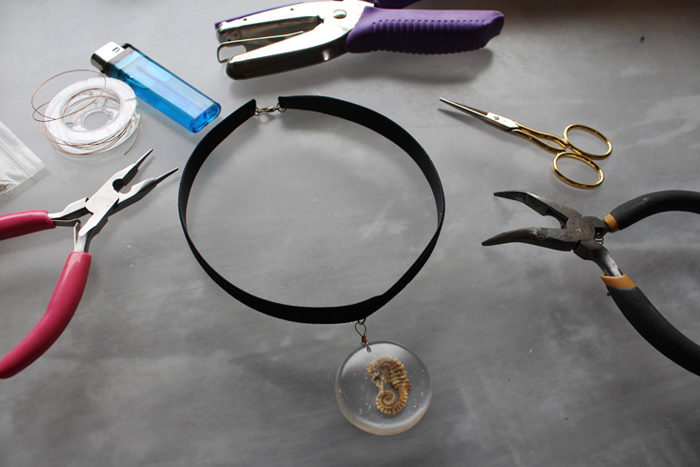 Add the clasp to the ends of the ribbon and it’s ready to wear! Or add a jump ring and chain for a much simpler necklace! I love that heart shaped pendant! I finished each one off differently and I love them all! Which one is your favorite? 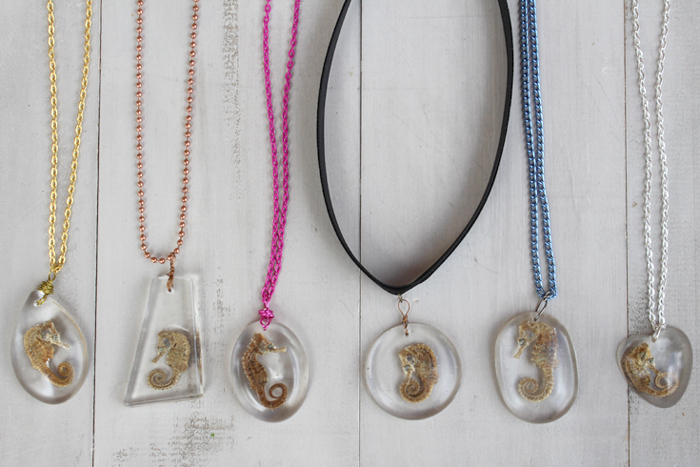 Would you ever wear a Seahorse necklace? Would you ever make one? Hello! 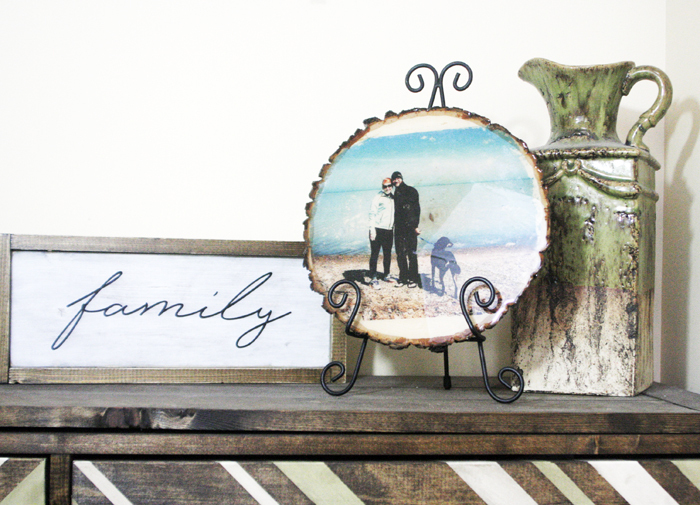 This DIY Glossy Photo Transfer Wood Slice is one of my new favorite additions to my home decor. My house is full of wooden decor and furniture, and I just keep adding to the collection. The great thing about this project though is that it adds some gloss and shine to complement all of the reclaimed wood pieces that I already had. 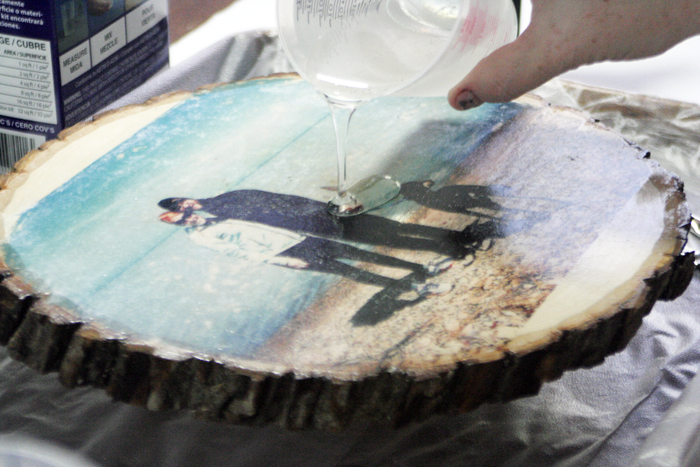 Here’s how you can make a glossy photo transfer wood slice too! Small disposable item to elevate your wood slice. I used a small wood scrap. Alright, so once you’ve got all your supplies together, you’ll just need a really clean work area and level work surface. You’ll want a fairly warm area without any fans or air movement so that no dust or debris gets into the resin after it is poured. 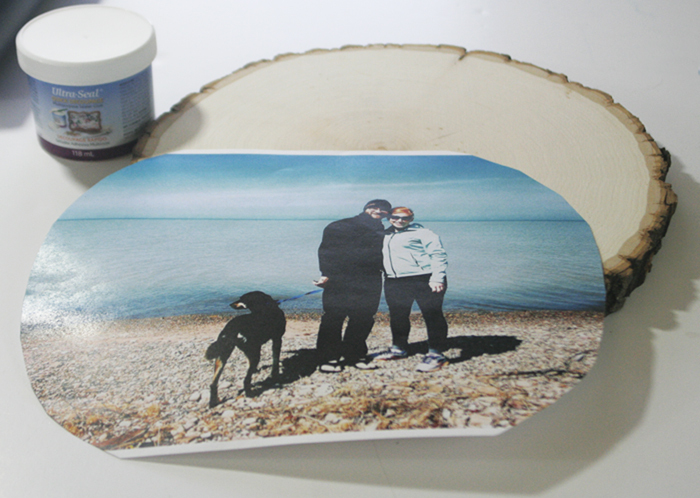 First, get your wood slice, laser printed photo, Ultra Seal, and craft brush. This is all you’ll need for the first step. 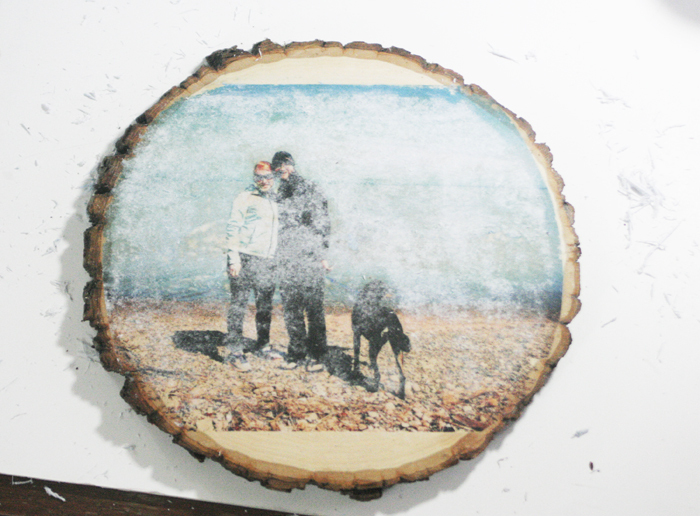 Trim your photo to fit onto your wood slice. 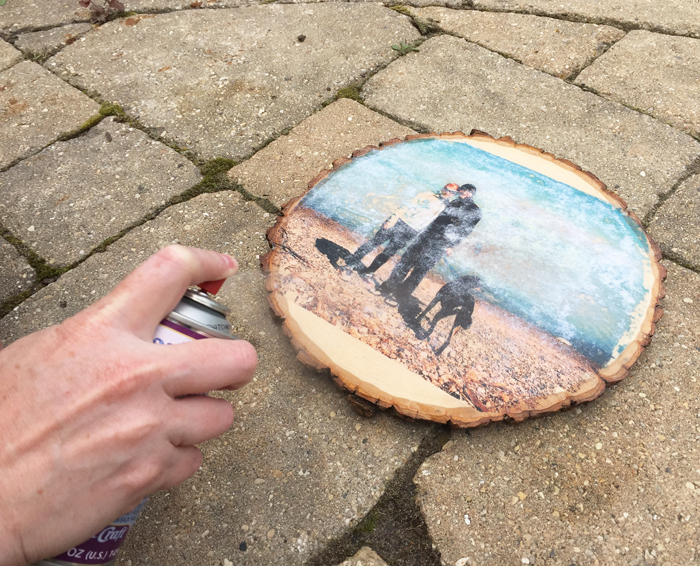 Remember that the photo will be placed face down if you are transferring it to the wood, so it will be flipped on the wood slice. This is only a concern if you have letters or numbers in your photo because they will be backward. If this is a concern and you do want to do the transfer, you’ll need to flip the image in whatever photo software you use before you print it. 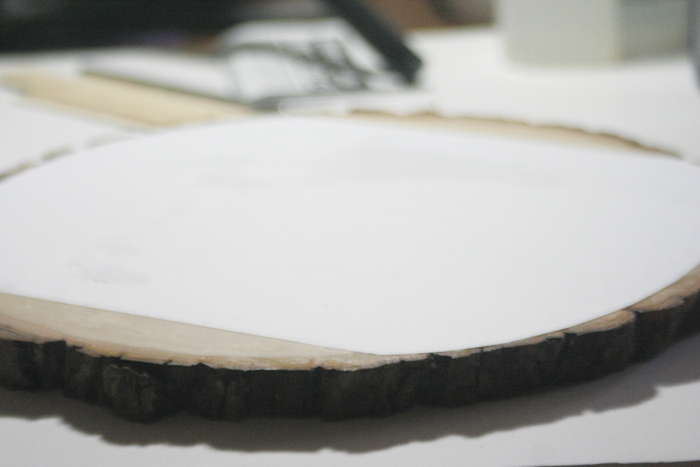 Next, completely cover the wood slice top in Ultra Seal using your craft brush. This will prep for adding the photo, and also seal the wood which is important to prevent bubbles during the Envirotex Lite stage. I put a generous coat of Ultra Seal, as you can see in the process photo below. 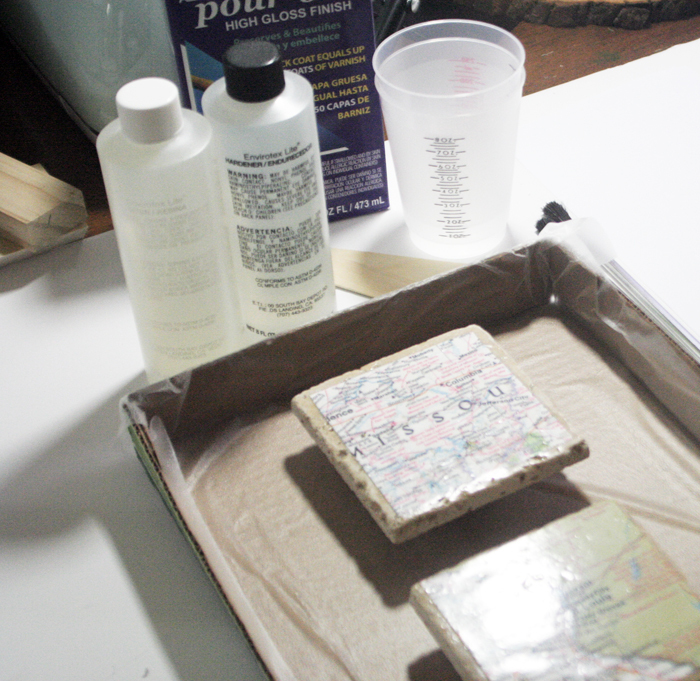 Okay, now quickly add the photo to the wet wood slice and press down to eliminate any bubbling in the paper. Then immediately coat the entire picture with Ultra Seal. Let this dry overnight or for at least 12 hours. 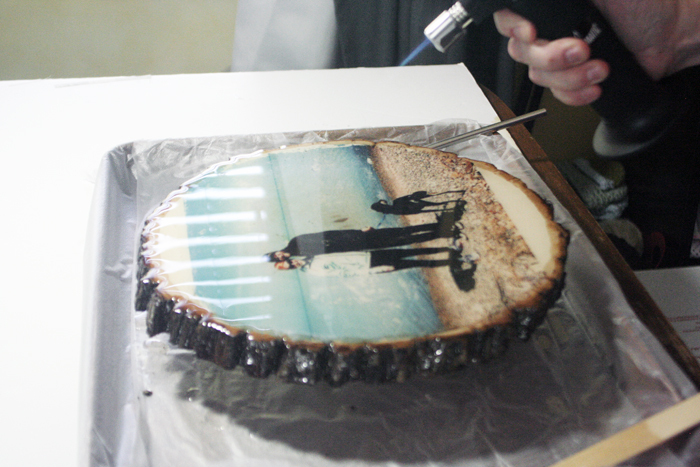 Next, we’re going to remove the paper to show the ink from the image is now on the wood slice. To do this, we get a large towel wet. You don’t want it dripping but you don’t want it barely damp either. Just soak it and ring it out really well. 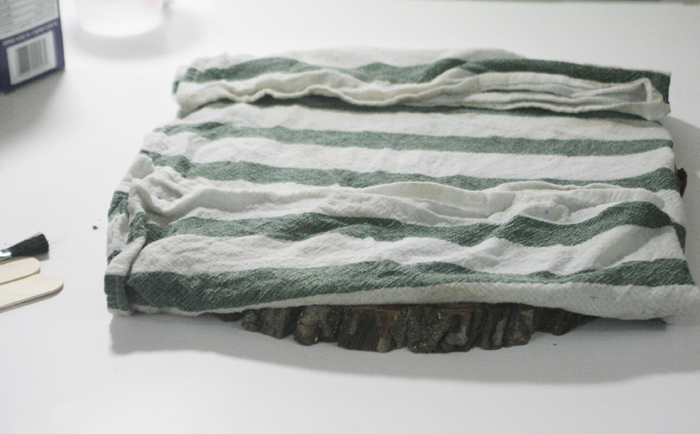 Then lay the towel on top of the paper, as shown, and let the water soak into it for about 15 minutes. I came back a couple times in those minutes and pressed down on the towel, just to be sure it would soak in. 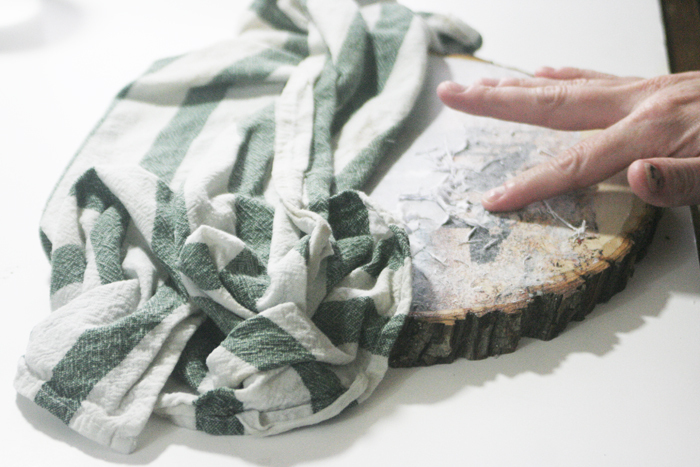 Okay, now peel up part of the towel and start to rub on the wet paper lightly with your finger. It should begin to peel off. Be sure to rub gently, with barely any pressure from your fingers. If you rub too much in one area the ink will sometimes rub off. Once the paper looks like it’s gone, move to another area. Now, it’s important to know that even though the paper is gone, as it dries sometimes it starts to appear white again as if paper is left. 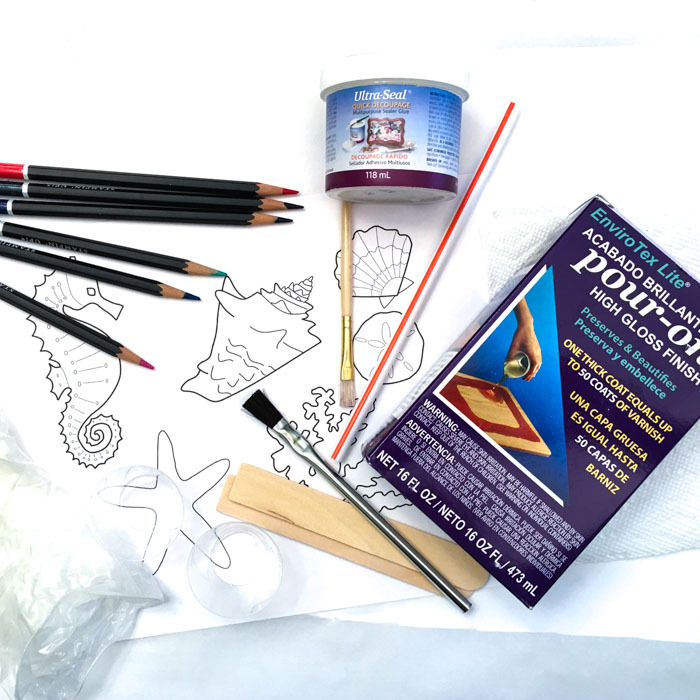 The best way to know if the paper is gone is get it wet again and if it is clear, then enough paper is gone and it will appear clear when you apply the epoxy. I hope that makes sense. The following pictures will help you understand. Some of the colors were much more sensitive and easily rubbed off. There are a few spots here where that happened, but I was quite happy with it overall, so I just went with it! Alright, so now that it’s all rubbed off, the final step for the photo transfer wood slice process is to coat it with Resin Spray. I do this outside because it is pretty stinky. It dries quickly so I just spray in an area without wind and bring it back inside as soon as it is dry. This step will definitely show if you removed all the paper correctly because all the colors will return unless there is still too much paper. Alright, the next picture looks pretty bad, but really it’s just the angle I had the light on for the photo. I did this on purpose to show that there is still texture on the photo. It doesn’t look as rough straight on, but I’ve done this before and there’s always some texture. This is the main reason I thought Envirotex Lite would be PERFECT for this project! It makes a super glossy and glass smooth finish. I just love it. Alright, let’s get that perfect, glossy finish! Grab your Envirotex Lite bottles, one resin and one hardener, also your stir sticks, mixing cups, craft brush, work surface tray or box, butane torch and item that will elevate the project. Put your wood slice photo on top of that item, inside the box. Read the directions thoroughly so you understand how it works and the DOs and DON’Ts. There are a few things you’ll want to understand, like temperature, curing time, and detailed mixing instructions. Now we’re going to mix the resin. Pour 2 oz. of Part A of the resin into your mixing cup. Add 2 oz of part B. It is very important to have exact equal amounts. Once it’s all mixed together, pour it into your SECOND cup and stir again thoroughly with your SECOND stir stick. This prevents any excess of one part or another from ruining the cure and causing sticky spots. Once that’s done, we’re ready to pour! 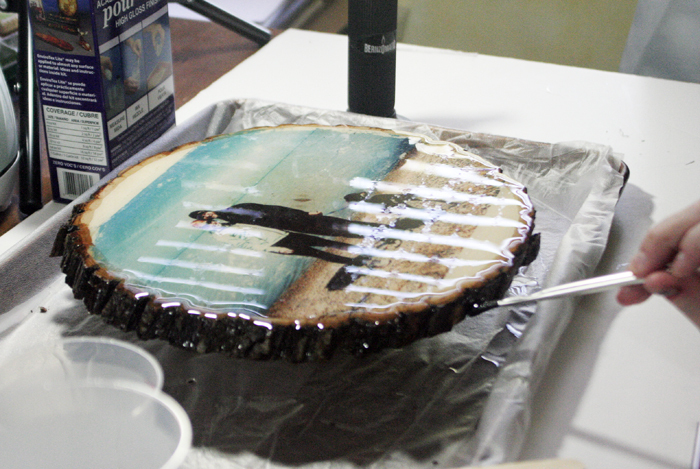 Start pouring the resin in the center of the photo transfer wood slice, moving outwardly in a spiral. It will spread out fairly quickly, just make sure it coats the entire top. 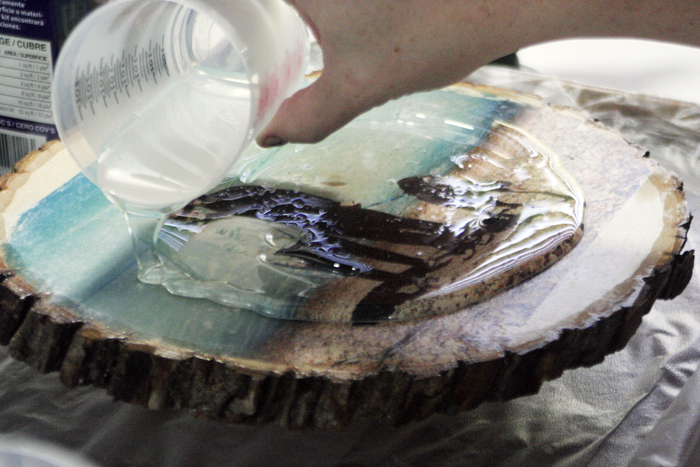 The resin will self-level as it spreads out and the excess will pour off the sides. This is why you want a good disposable material underneath that you’ll just be able to throw away, to catch the excess. Wipe off the drips for a little while, but then take a short break and come back about 15-20 minutes later. Wipe off any remaining drips and use the micro butane torch (or exhale over the project) and pop the bubbles. The carbon dioxide is what will pop them, so your exhalation can work, but a butane torch is MUCH faster. Alright, now we just cover the project as carefully as possible and wait for it to cure. The recommended time varies depending on room temperature, but here is the information on the directions: At 70 degrees it takes 4-7 hours in dust free area and 72 hours for a hard cure. At 80 degrees it takes 3-6 hours dust free, and 48 hours for hard cure. And at 90 degrees it takes 2-5 hours dust free and 36 hours for a hard cure. I let mine sit for a few days under the covering just so I wouldn’t mess anything up. I’m so pleased with the results! As you can see in these finished photos, the light reflects off of this just like it would with glass. It’s just perfect and glossy and beautiful. I really love this product! I hope you like this project and feel like you could make something similar! It takes a bit of time, but it really is simple and the results are awesome! I can think of so many applications for this Envirotex Lite and can’t wait to show you more! If you like this photo transfer wood slice project, please share this pinnable image via Pinterest! Thanks for checking it out! 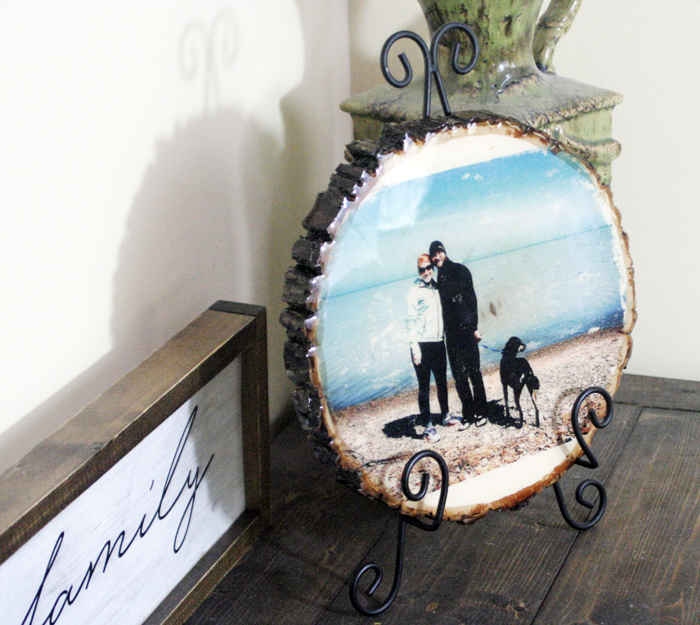 What do you think of the glossy photo transfer wood slice? I’d love to hear your comments. If you’ve done photo transfers before or would like to try, I’ll be sure to answer questions if you have them. Thanks for reading! With it being the unofficial start to summer this weekend, school is out or getting out very soon! 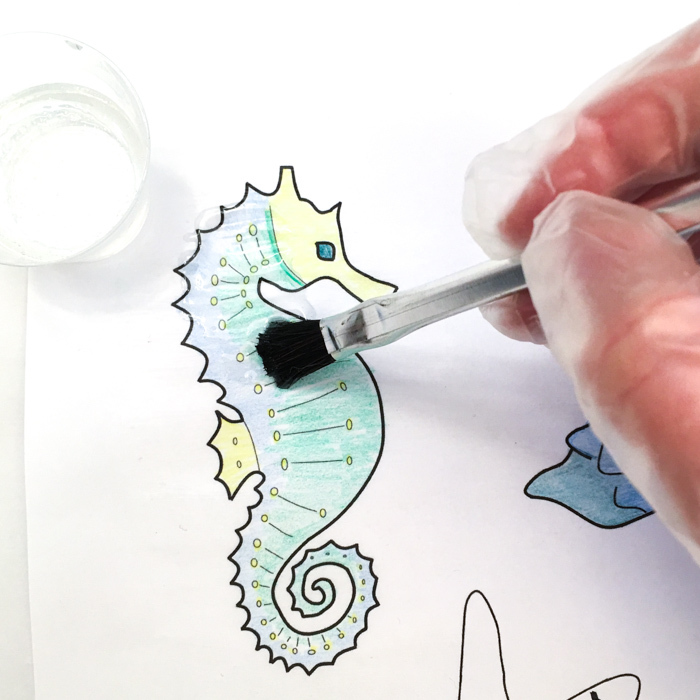 These fun kids crafts will keep them entertained and keep their brains engaged through the summer months! 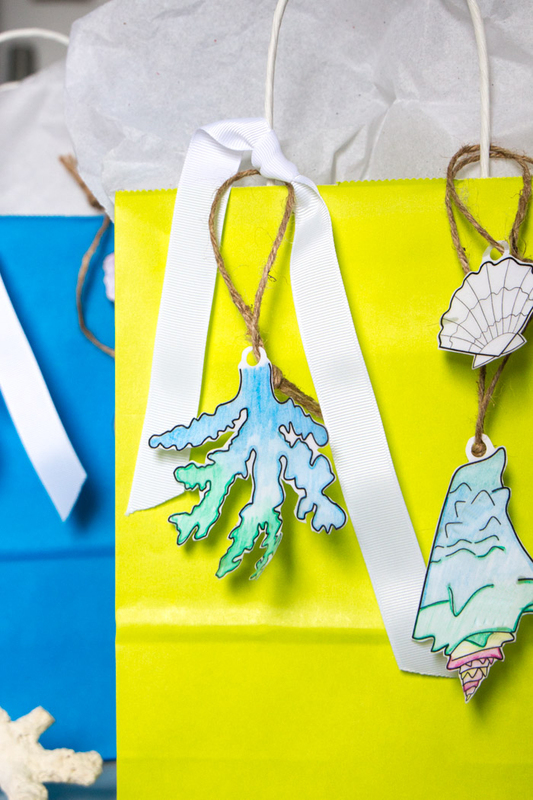 A new keychain is the perfect gift for Father’s day! Maybe a tie tack is more suited for grandpa! And you cannot go wrong with a great magnet! 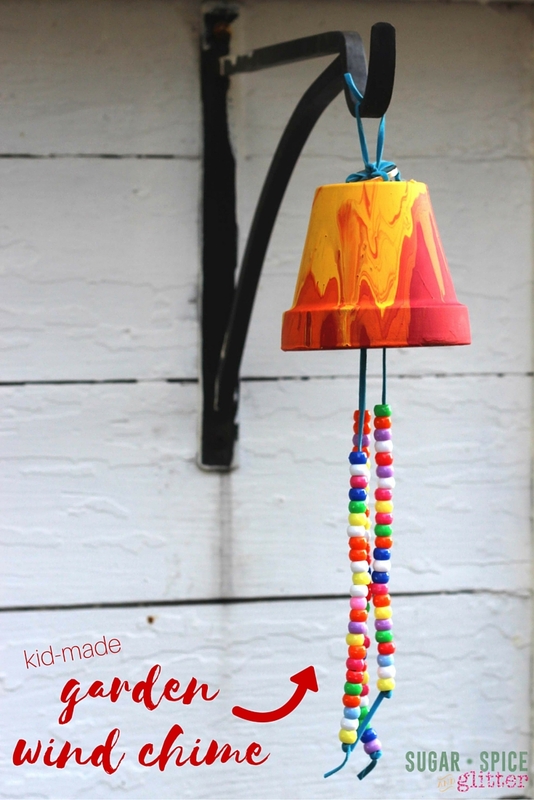 These are a super fun craft for older kids and would make a great gift for Father’s day! It’s an easy project and just takes minutes. Read the instructions carefully and make sure you have everything ready before beginning. You need one part of each container. Use something like a teaspoon to get one scoop of each. Mix them together until they are completely mixed with no marbling. Next, split clay into pieces then press into the bottle caps so they are filled to the rim but not bulging. Now the fun part! 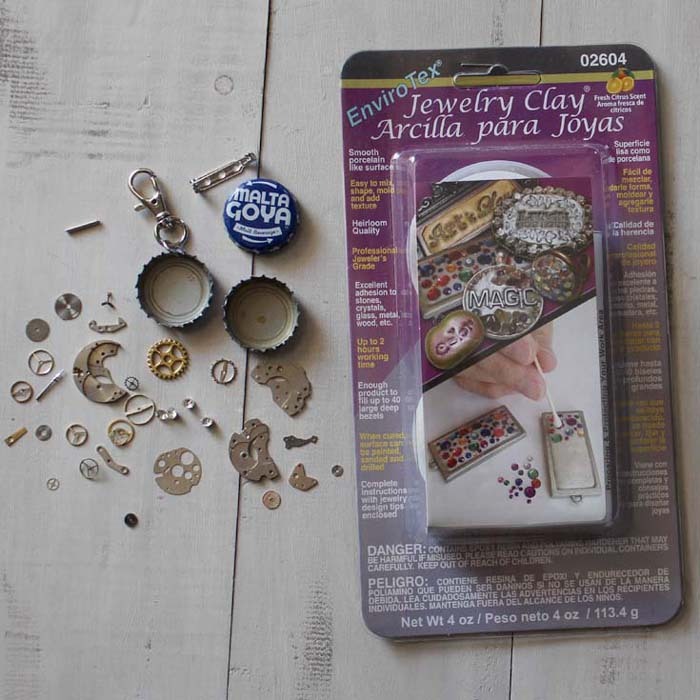 Use fingers or tweezers to place the little watch parts or rhinestones in the clay. Press them in gently but firmly to make sure they are in the clay deep enough to be secure. Then let the clay dry completely. 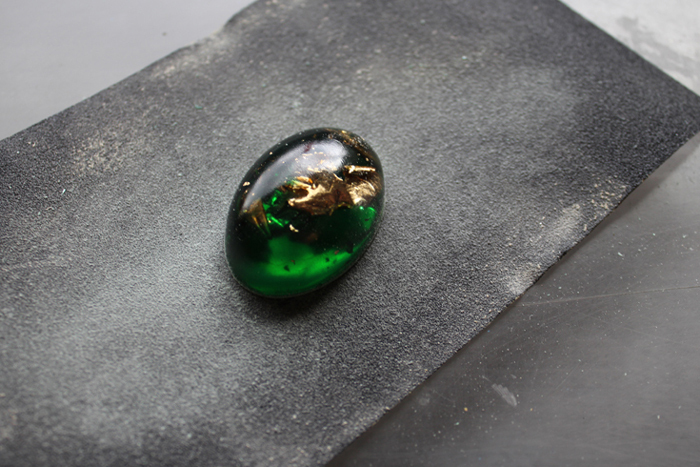 It only takes about 20 minutes for the jewelry clay to harden so having everything ready is key for this project. 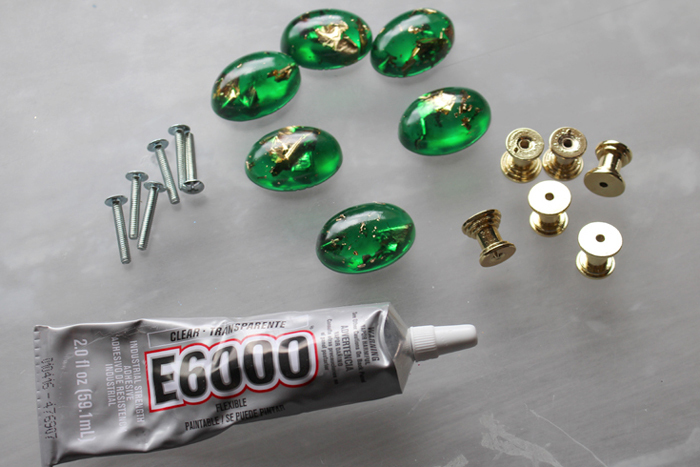 Then use E6000 glue to adhere pinbacks or magnets to the back. Let the glue dry completely, generally about 4 hours. Then they are ready to wear, stick on or show off! 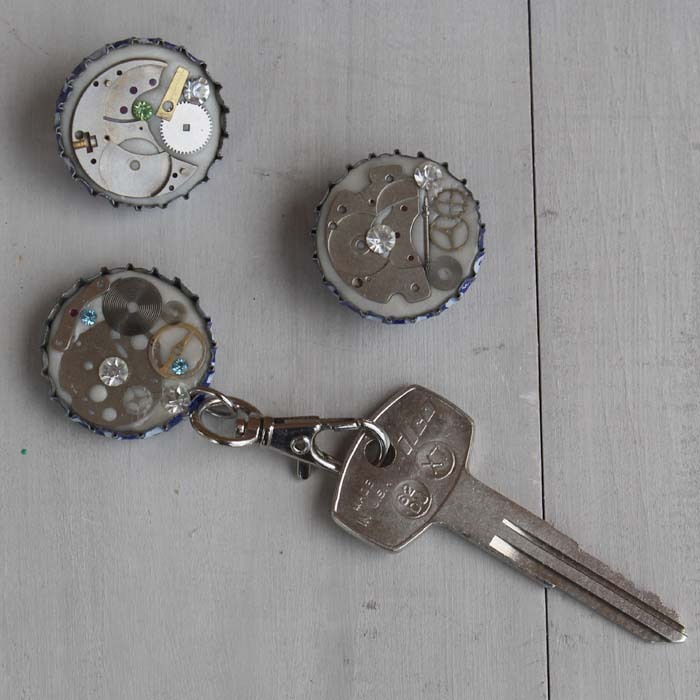 Dad can hook one to his keys, keep track of memos or use one as a tie tack! These are so much fun to make. 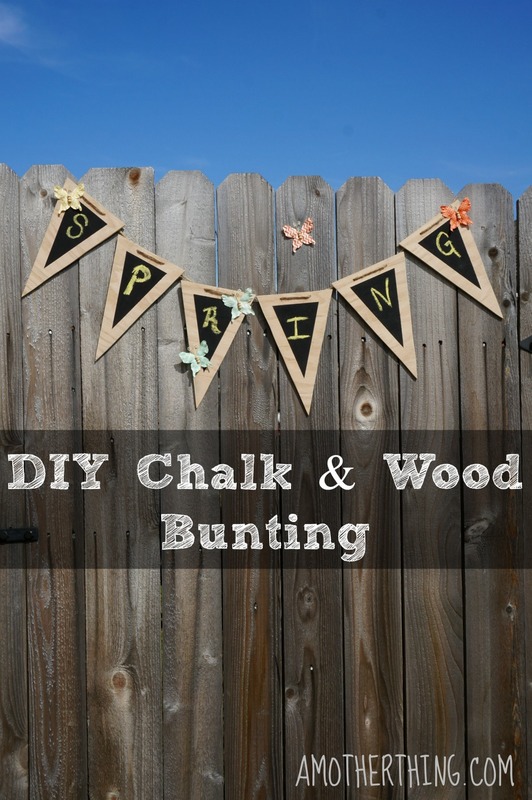 Such a fun craft for older children too! Dad will love his new keychain! 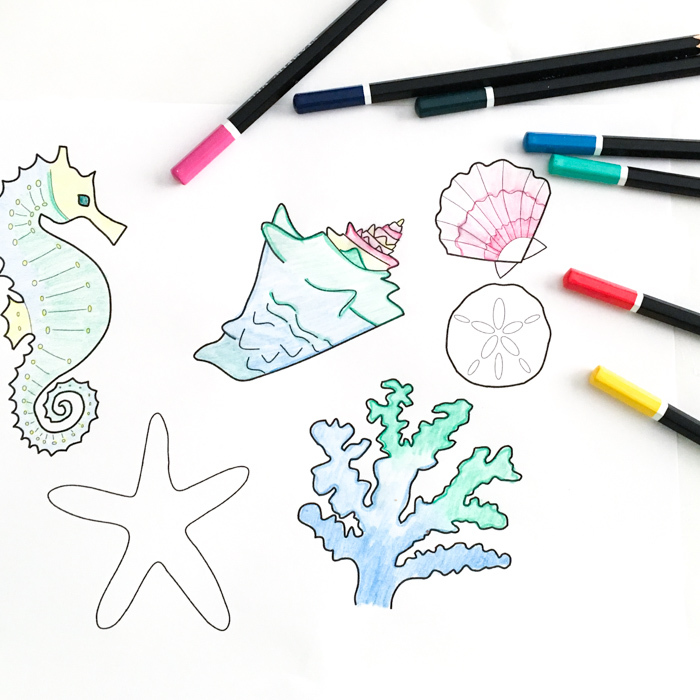 Have you ever wished you could take those beautiful adult coloring pages and put them to use after finishing them? Jane here, from Sustain My Craft Habit blog and I’m going to show you how you can take any image, colour it and turn it into useful paper embellishments that would be perfect for scrapbooking, card making, as gift tags and more. Prior to starting your project cover your work surface and be sure to completely read through the instructions provided in the EnviroTex Lite box for best results. Work in a well-ventilated area. Print out as many copies of the beach-themed motif template as you need. 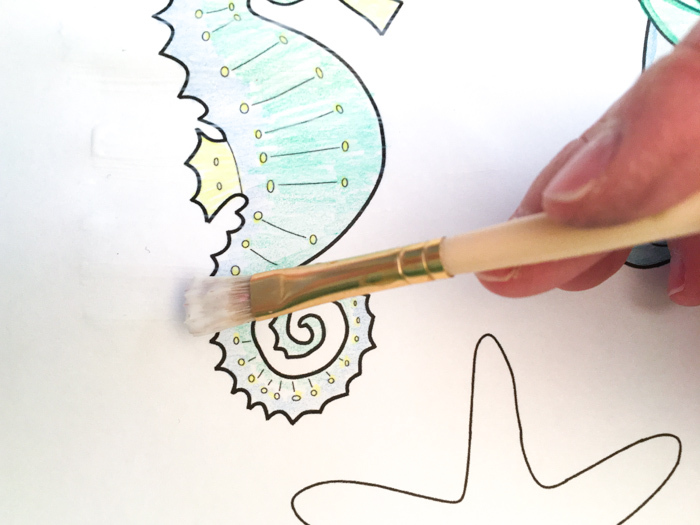 Colour them using pencil crayons or markers (just double-check that the colour won’t smear once you apply the sealer). I even left a few of them uncoloured. 2. Apply a generous coat of sealer over the paper extending several inches outside of the motif. Make sure the paper is completely sealed! I missed a few spots and the resin seeped through leaving oily-looking spots on the paper. Let the sealer dry completely. 3. Pour equal parts of Resin and Hardener into a small measuring cup (I used 1/4 oz of each and had plenty). Mix thoroughly for 2 minutes, scraping sides and bottom. 4. After 2 minutes, pour the blended mixture into another cup and mix with a new stick for an additional 1 minute. 5. Apply EnviroTex Lite® onto the paper using a disposable paintbrush. I applied it to all the colored areas. 6. If air bubbles occur, use a straw to gently blow air over them and pop them. Let cure completely overnight. I let mine sit for 24 hours as I didn’t want any fingerprints on my embellishments. 7. 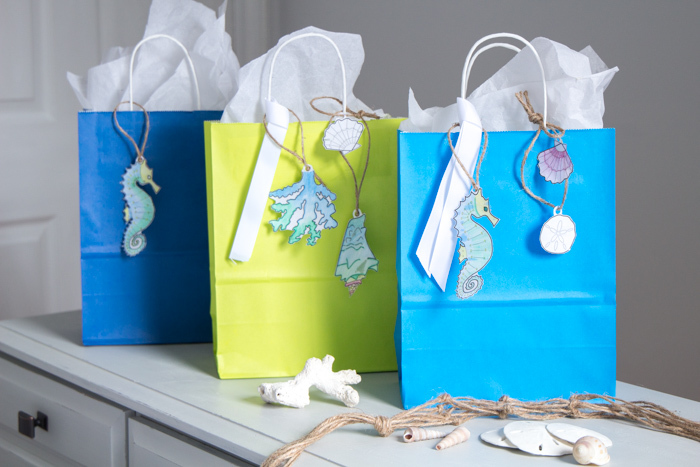 Cut them out and use them to embellish greeting cards, gifts, scrapbooks and more. 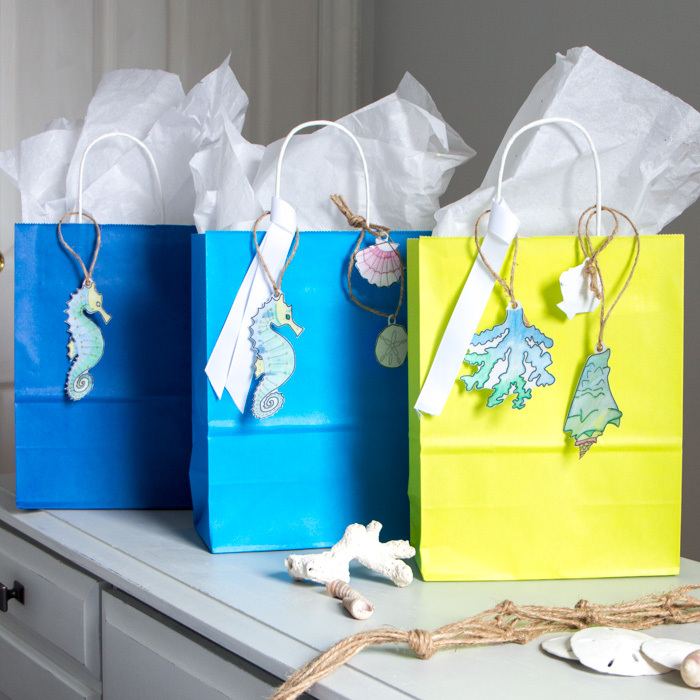 I thought these seashells, seahorses and other ocean-inspired items would be perfect for a beach-theme bridal shower, wedding or for any summertime celebrations. This technique is also so versatile! You can use it to make personalized embellishments, hand-letter names and messages, and even to preserve the kids’ art-work! Father’s Day is one of those holidays where we strive to recognize the parents in our lives. 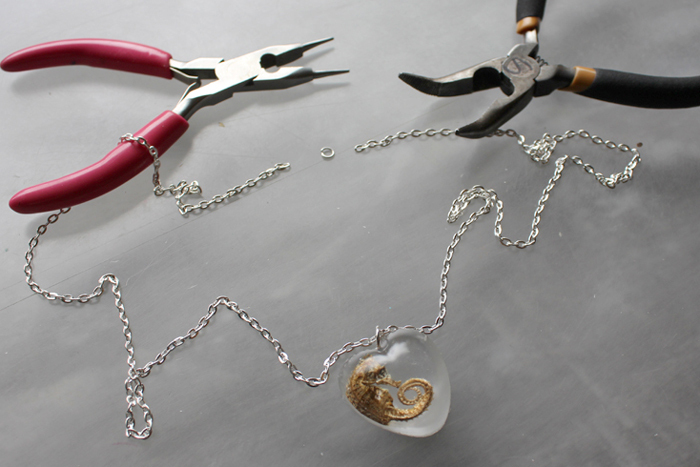 Like its Mother’s Day counterpart, it usually involves handmade gifts for the dad in your life. There are some cliche ideas that have always been around since the holiday was first established in 1966. But ugly ties and modeling clay ashtrays are no longer the Father’s Day stereotype. 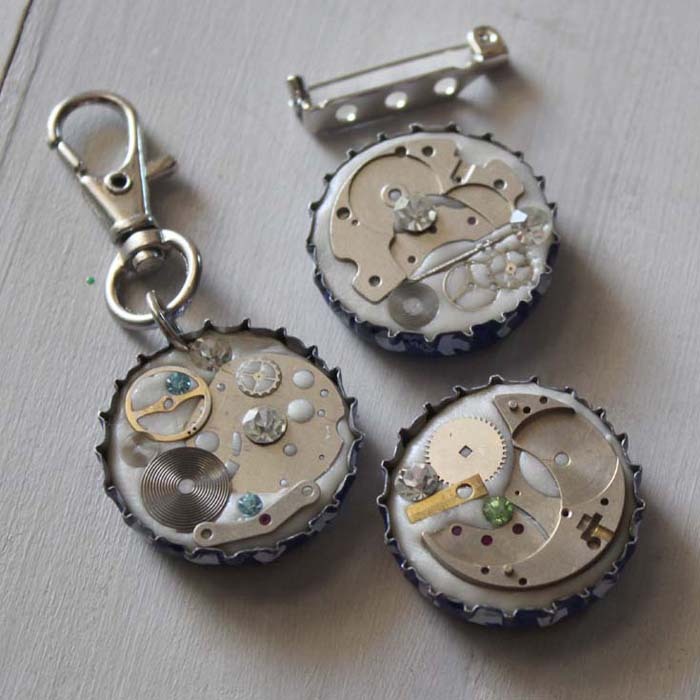 Now there are so many amazing handmade gifts that any father is sure to love. 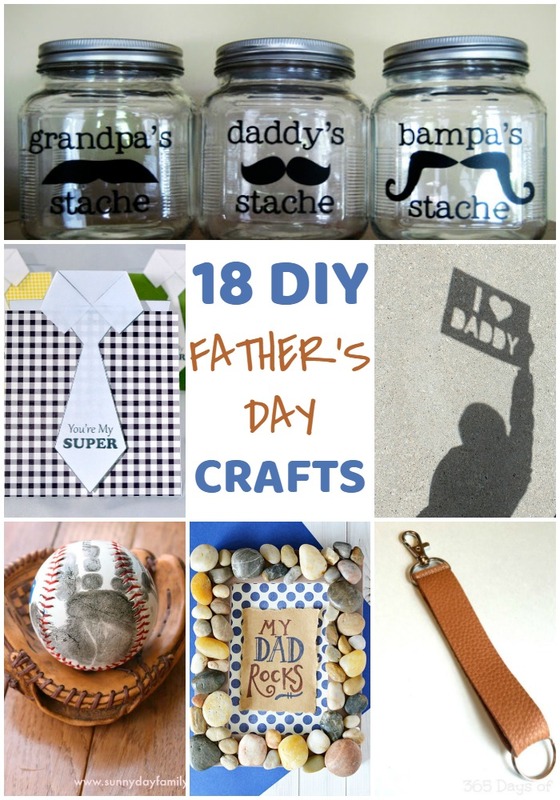 Here are 18 Father’s Day crafts that will melt his heart. I’m one of those people that like to hoard stuff that you can always buy again from a store, like this cute pink frame. Obviously, I know I could use this frame or buy another from any store, but I thought it would be fun to try to replicate it with resin. I can’t believe I was able to replicate this frame out of resin! 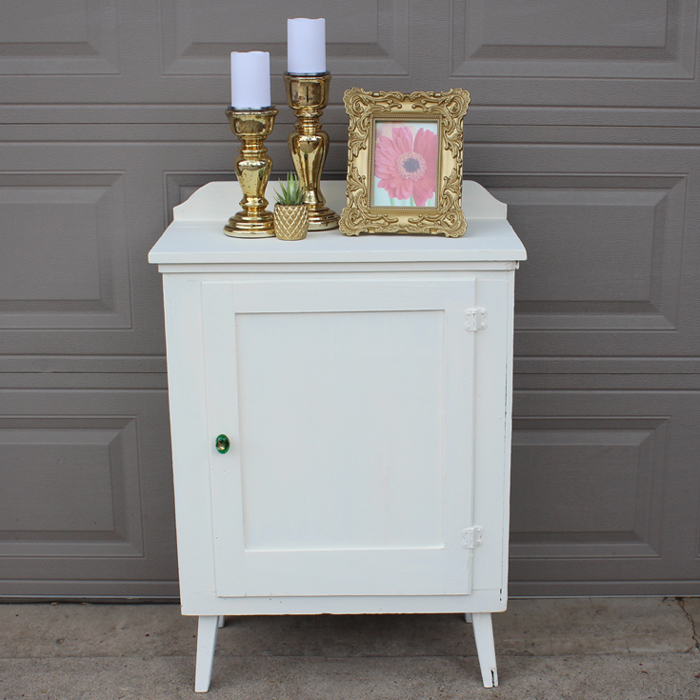 This DIY resin frame looks like a piece you’d buy out of a big box store! 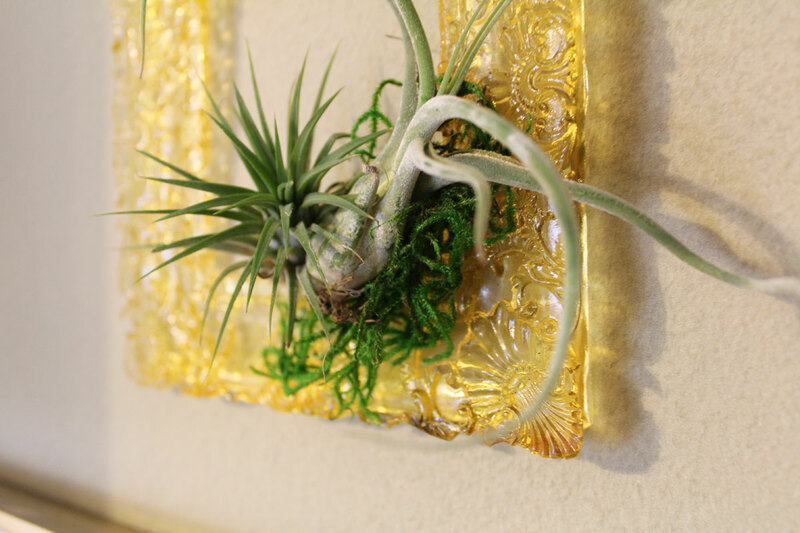 I’m using my frame to display some of my air plants, but you can use yours to frame art and photos if you first glue a piece of glass or acrylic to it. First thing to do is remove glass and cardboard backing from frame and glue frame in place into your container. I used a baking pan, so I lined it with aluminum foil. Next, you’re going to make your mold. Measure equal parts of part A and part B of the EasyMold Silicone Rubber. I found out how much Silicone Rubber I needed by filling the space around the frame with rice first and measuring the volume of rice that I used. Then, you blend part A and part B of the Silicone Rubber until it’s a uniform color. Let your mold completely dry before removing the frame from it. Making the mold was fun! Seeing the impression of the frame details in the mold was really cool. 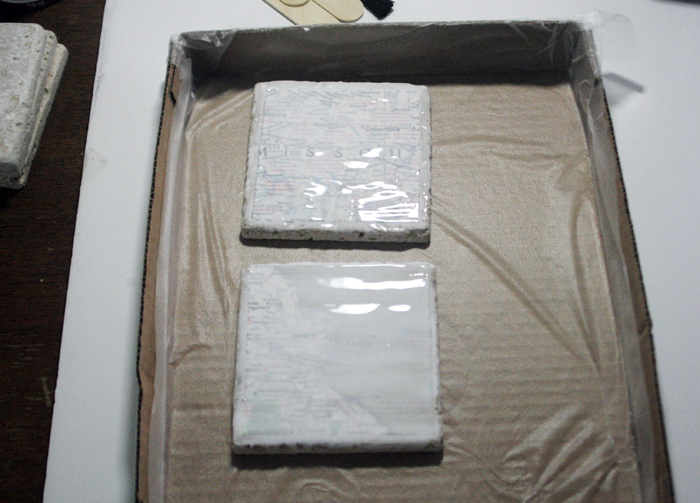 Now I can use the mold to cast new frames out of resin, plaster, and even metal! 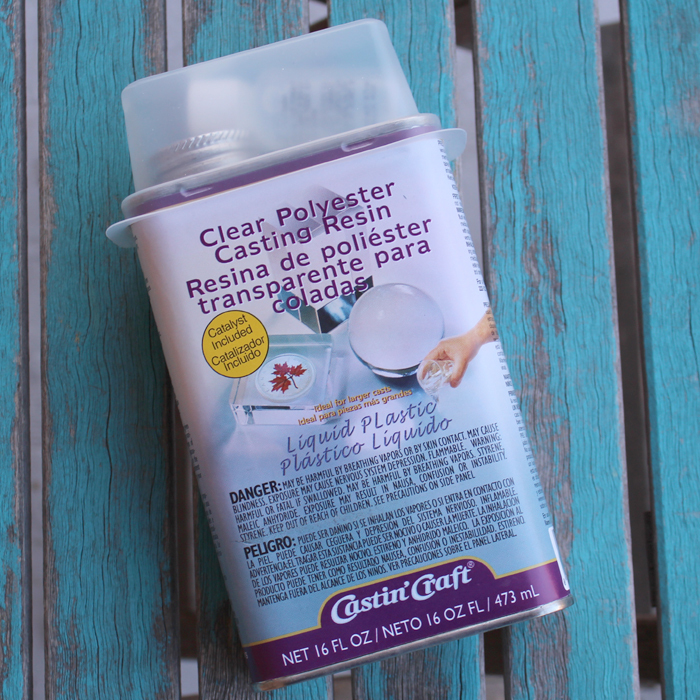 Work in a well-ventilated area when working with the Clear Polyester Casting Resin. 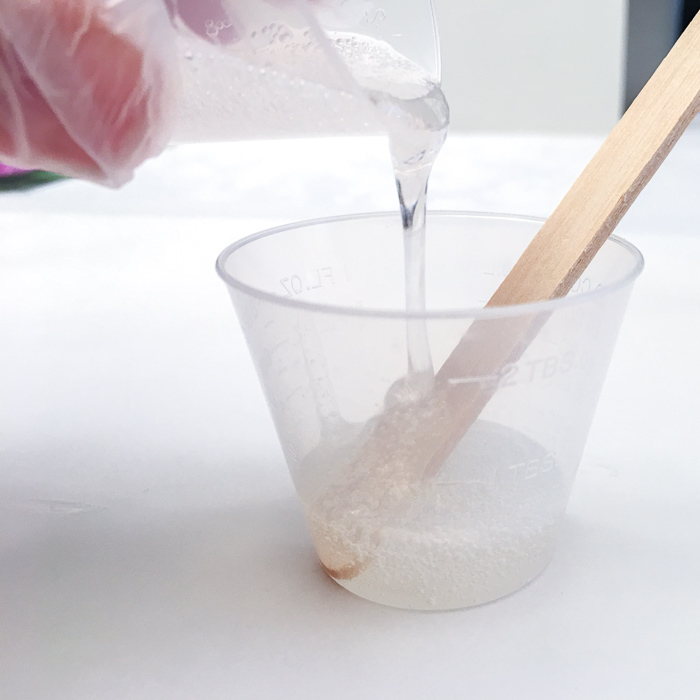 Use rice to measure how much resin you’re going to need to create your new frame. 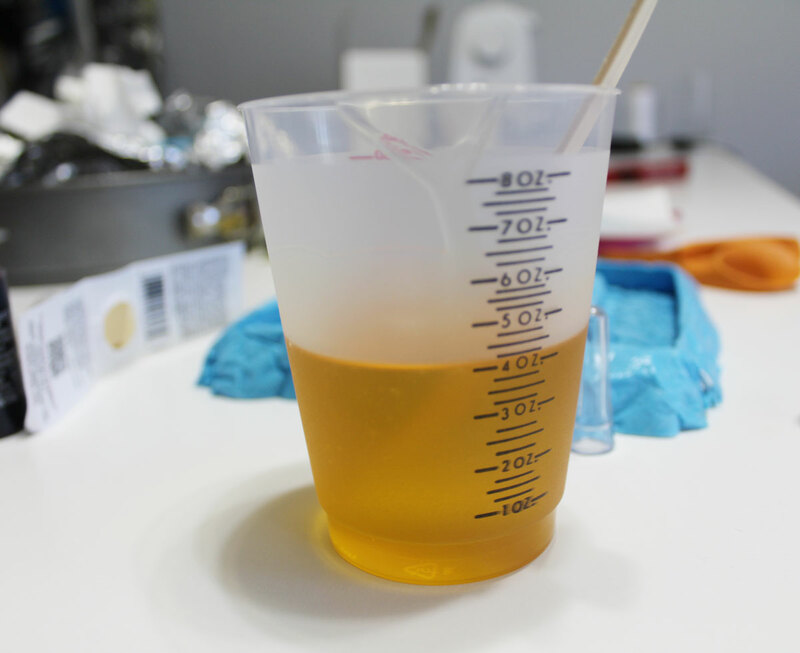 Then, measure that amount of resin in a mixing cup. The label on the resin shows how many drops of catalyst (that came with the resin) you need to add to the resin. The amount of catalyst depends on how thick the layer of resin will be. My frame is ½”, so I had to use 6 drops of catalyst per ounce of resin. Add your dye (or leave it clear, if you’d prefer). You’d basically play around with drops of dye to get the correct formula you’d like. Add one drop at a time. Mix thoroughly for 60 seconds, making sure to scrape the sides and bottom of the mixing cup. 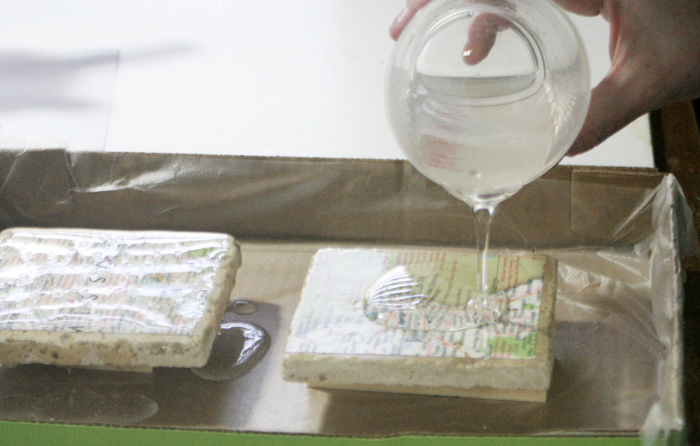 Pour resin into the mold and let completely dry before removing. I let mine dry for 24 hours before removing it from the mold. The Clear Polyester Casting Resin was really easy to use and I was very impressed with the way it hardened and took to the mold. All the great details of the original frame are visible. Adding the dye was a great touch. I love the Amber coloring and using 3 drops per 2 oz gave me the perfect golden yellow color. 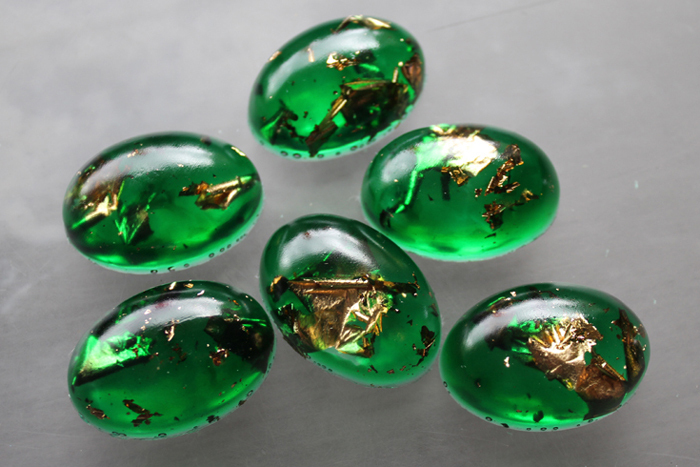 In the future, I’ll experiment with more drops of Amber for an even more golden color. This was the easiest part. 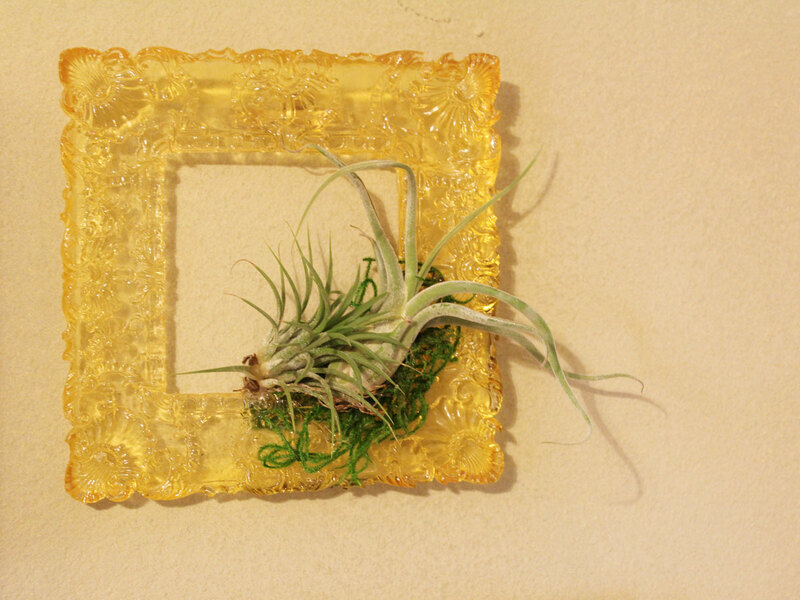 I simply used hot glue to attach the moss to the inside corner of the frame and then the air plants on top of the moss. Then, I hot glued a sawtooth hanger to the back of the frame. 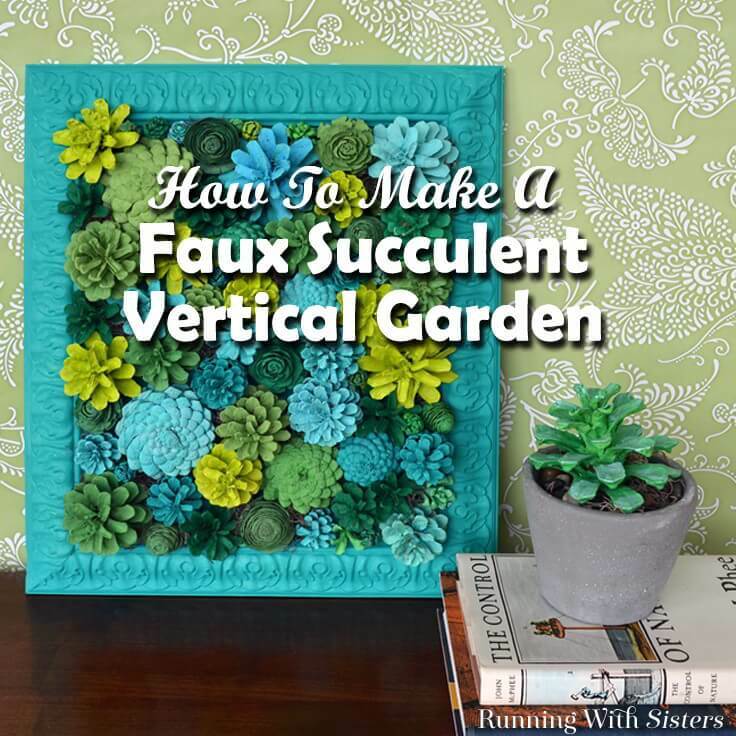 I used a nail to hang it on the wall over my bedside table and when I’m ready to give my air plants a bath, I’ll just remove the entire frame, mist the succulents with water in my sink and leave the entire thing in the sink to dry (so I don’t damage my wall). I LOVED this project. Even though it spanned a couple days, it was well worth it. 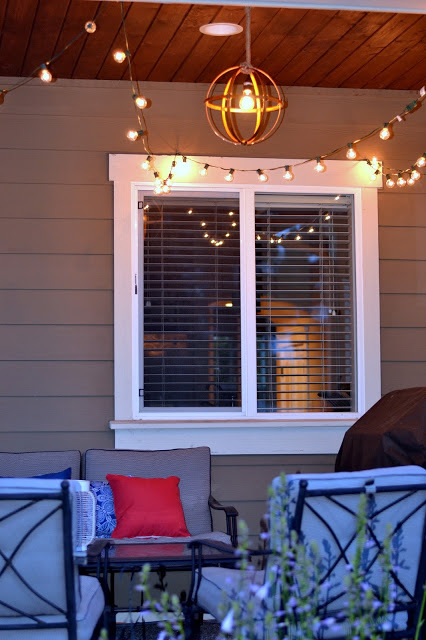 I love hand-making projects that can be gifted to friends and displayed around their homes. 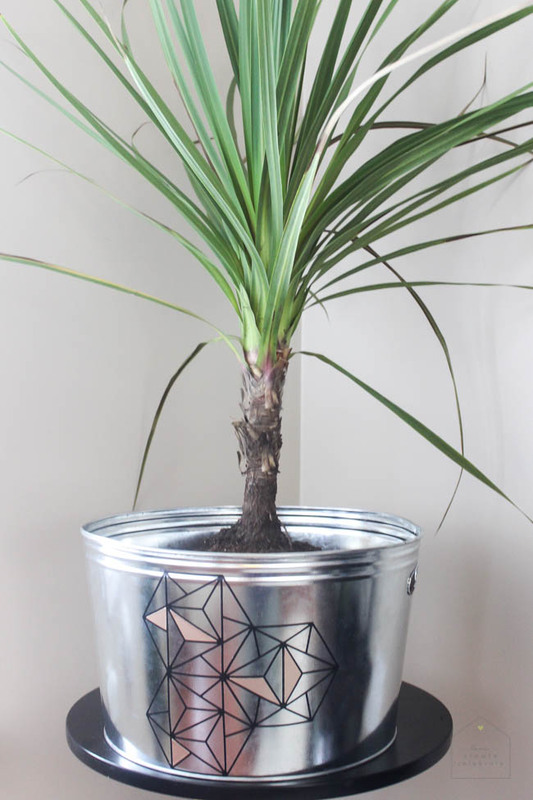 This is the perfect gift for a friend that loves plants. 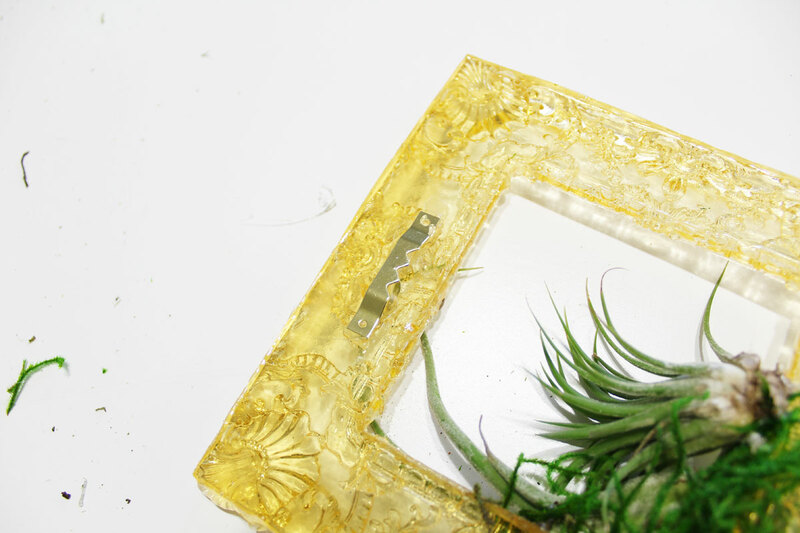 You can replicate your favorite frame for your own DIY resin frame for displaying air plants, hang them as a set without anything attached, or add glass (or acrylic) for showing off your favorite photos or art. The best part is that you can literally use your mold over and over to make an endless amount of frames. I hope you’re inspired to start crafting! I can’t wait to share my next project! Memorial Day is an American holiday, celebrated on the last Monday of May to honor our fallen heroes. There is no official ceremony for the day, though there are dozens of customs that have been adopted over the years. Generally the flag is flown at half staff until noon, “Taps” is played, and red poppies can be worn. But nowadays, there are many more modern customs that have become a common theme of the day. Namely, Memorial Day is known as the unofficial start of summer, and it’s generally heralded with a huge barbecue, stars and stripes decor and pausing for one minute at 3 PM to remember our fallen. 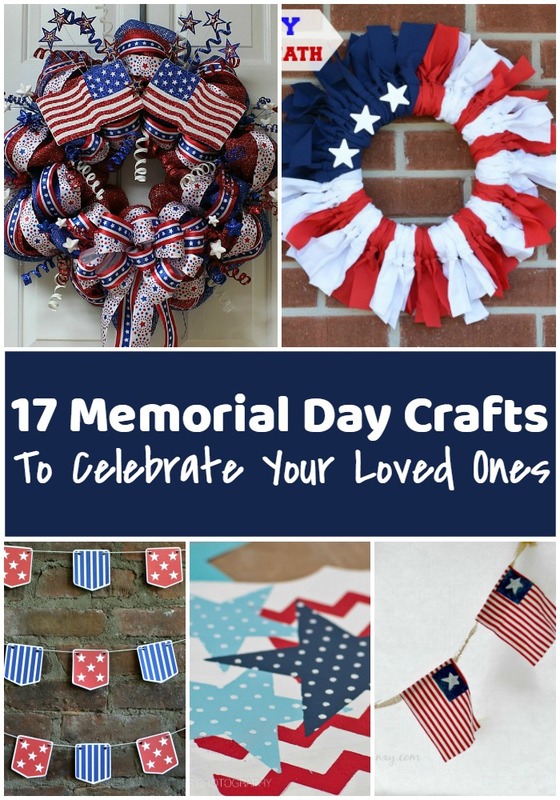 However you choose to celebrate this national holiday, here are some incredible Memorial Day crafts to celebrate your loved ones. 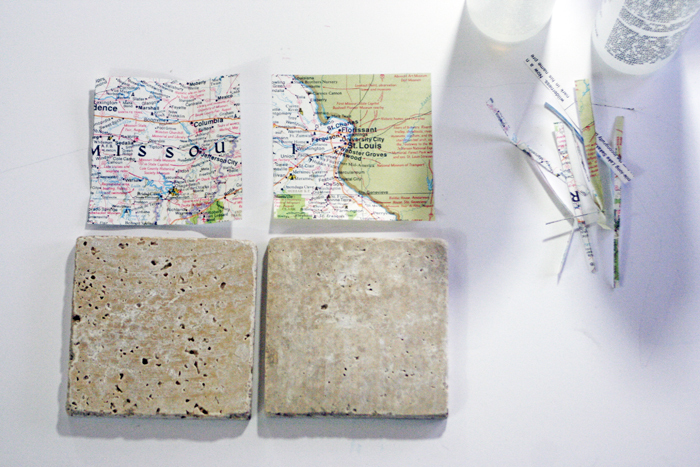 You guys, these geographic tile coasters turned out really cool. I’m super excited to share this tutorial with you! 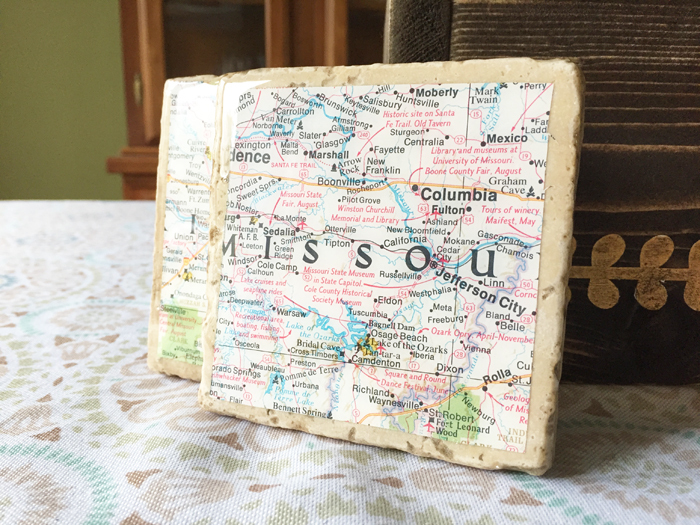 For this project I chose a map of the state of Missouri, where my husband was raised and where we used to live. The reason I chose that particular map was because somehow, even with our 13 moves in 15 years to 7 different states, all of my four children were born in Missouri. We left and came back a few times, so it has a special place in my heart. 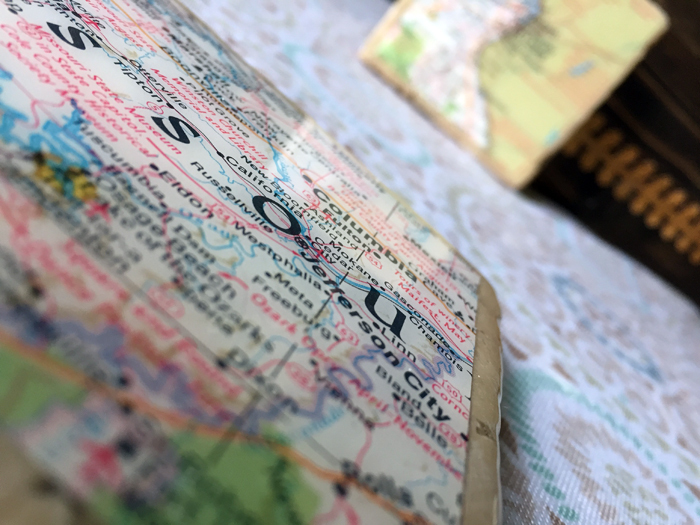 I chose to use two maps that encompassed the cities in which my children were born. These tile coasters were made specifically for our bedside tables, so we only needed two. It’s a bit hard to see the amazing glossy surface in this photo (look at top left corners to see the shine) but check out the rest of the pics and you’ll see how gorgeous it is. Alright, so here’s what you need! Something disposable to elevate your workpiece – I used small pieces of wood and just threw them out afterward. 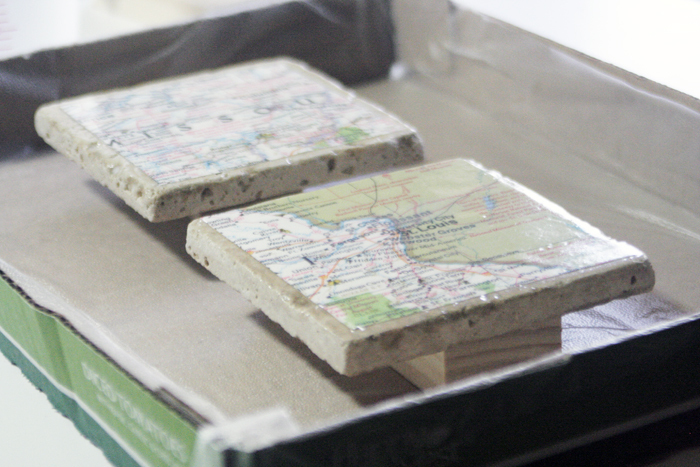 The first step for the tile coasters is to cut your map pieces to fit your tiles. Leave a border of tile on the edges by cutting smaller than the tile, or just cut it to fit to the edges, either way works. 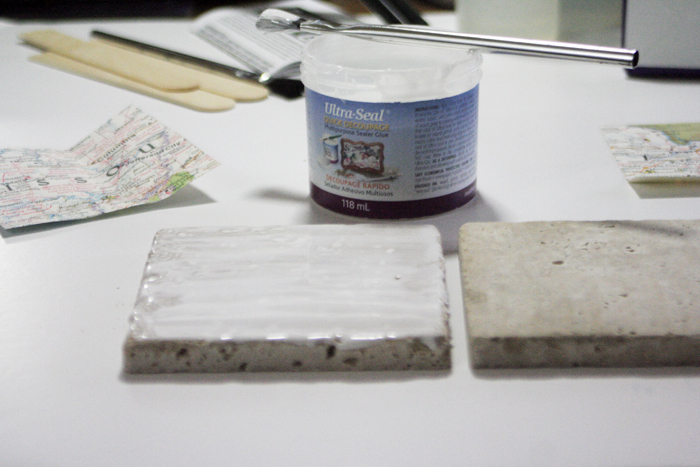 Next, take your Ultra-Seal and spread an even coat across the entire tile. I was sure to add enough to fill in the small holes on the travertine tiles. This will help prevent bubbles during the epoxy stage. Using a smoother tile will make this step easier. As soon as you have the Ultra-Seal coating the tile, take your map images and press them into the wet Ultra Seal as evenly as possible. 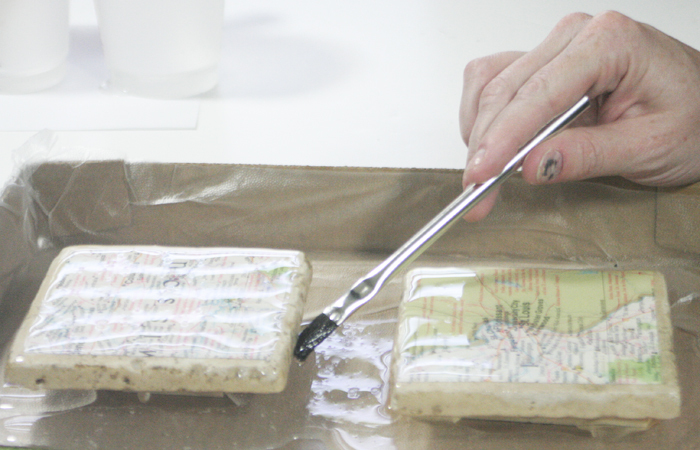 Push out any bubbles, then apply Ultra-Seal over the paper maps as well! Let dry. I let mine dry overnight. Alright, so the next step for the tile coasters is to make sure your work surface is protected. As you can see in my images I had the tiles resting on small pieces of wood (be sure this doesn’t touch the edges as epoxy will seep onto the underside. ) I used a cardboard box lined with Glad Press n Seal, and it worked perfectly. 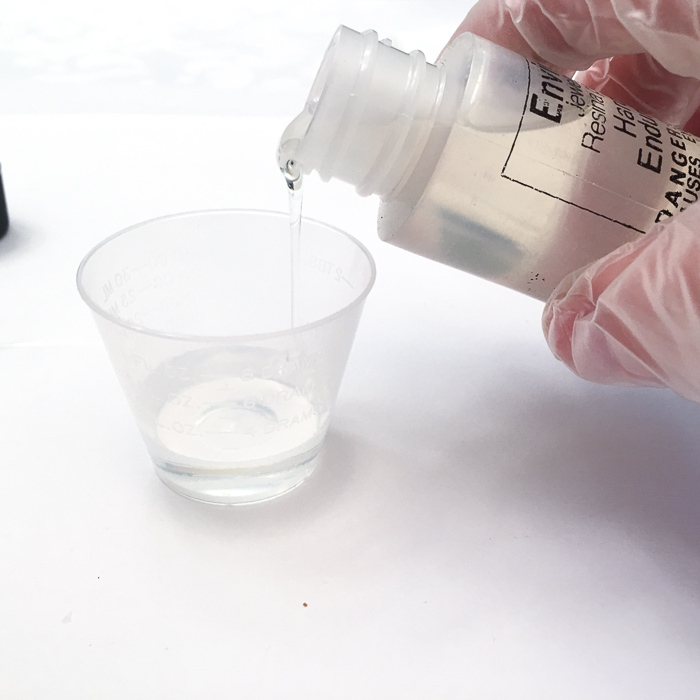 Be sure you have all your epoxy resin supplies so that you don’t have any reason to need to jump up and grab something while in the mixing process. This would be the mixing cups, stir sticks, craft brushes, work surface protection, and Envirotex Lite. All of the instructions are found inside the box of the Envirotex Lite, or on the ETI Website here. I’ll run through the steps, which are pretty simple and easy to do, but be sure to read the directions thoroughly. There are a few things like temperature or time that have strict guidelines for a perfect cure of the resin. In the box you’ll find two bottles, one Part A which is the resin and Part B which is the hardener. Pour part A into your disposable measuring cup and follow that with the exact same amount of part B. It is important to get equal amounts. Stir them together with your stir stick for a few minutes. At first it will seem a bit cloudy, but as it mixes it will become more clear. Don’t worry about the bubbles just yet! After everything is stirred together, pour the mix into another cup and stir again. This ensures that you don’t have any unmixed resin or hardener going onto your project, which will make for an uneven cure and possibly sticky spots. After you stir that for a bit, then you’re ready to pour! Be sure that your work pieces is completely level and that your work surface is protected, then begin pouring in the center of the tile and move slowly outward. The epoxy will begin to pour off the edges, which is what it is supposed to do! The Envirotex Lite will self-level (as long as your piece is level) but there will be many drips coming off the sides. Just use your craft brush to wipe those off as they appear. I waited for a minute or two then went and wiped the drips until it stopped dripping. After it is cured for a couple days, go ahead and use it, as it’s cured. But first, add some felt to the bottom so it won’t scratch any tables! And there you have it! Two awesome tile coasters that will hold drinks and prevent water stains on my tables. Definitely worth it and so cool looking too! 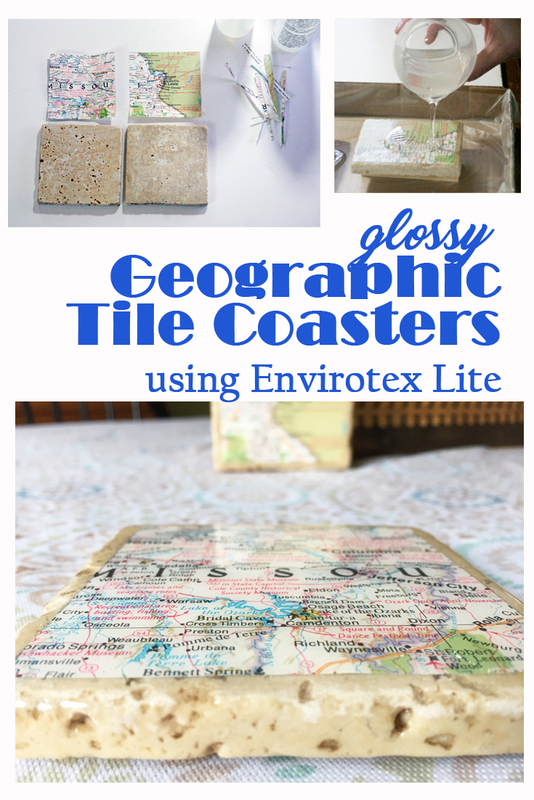 I hope this tutorial was useful to you, and if you decide to make your own coasters, be sure to share! The coolest thing is that you can use any type of paper, like a photo or ticket stub or designed paper to get any look that you want. I just love maps. 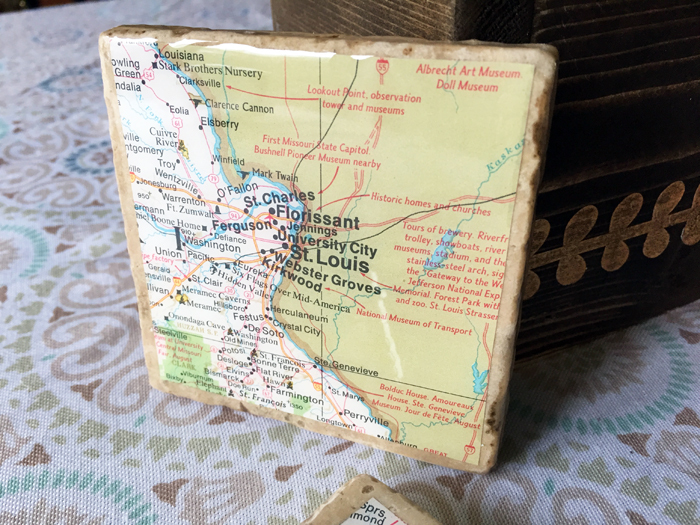 Here’s a great pinnable image, please share on Pinterest if you like this tile coasters project!Thanks again for stopping by! For her birthday one year when we were growing up, our mom asked for a ring which had all of our birthstones in it. 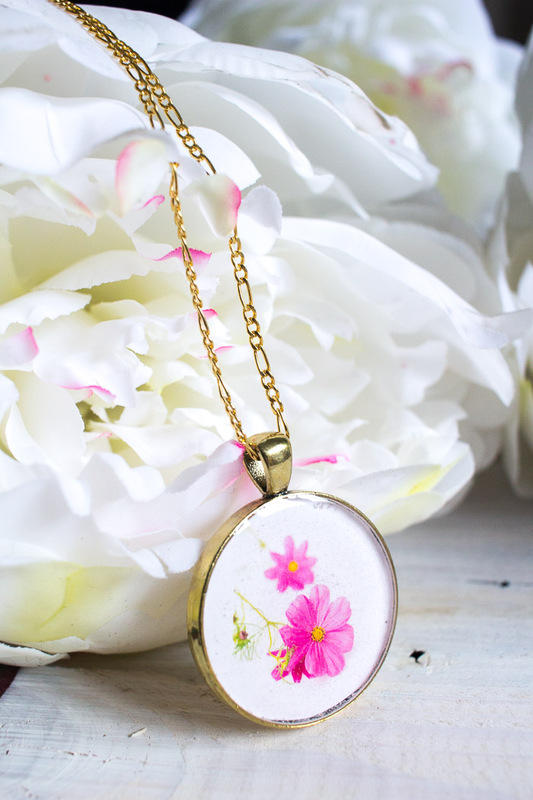 I always loved the idea of a personalized family piece of jewelry and when we came across this list of “Birth Month Flowers”, the idea to incorporate them into resin jewelry immediately came to mind. 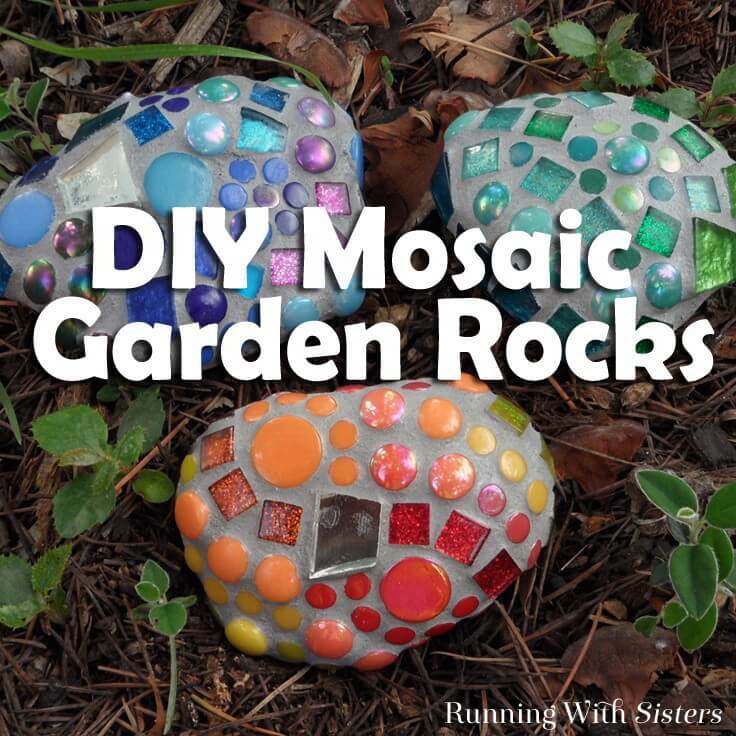 This would also be a thoughtful and inexpensive birthday, Mother’s Day or Christmas gift idea. 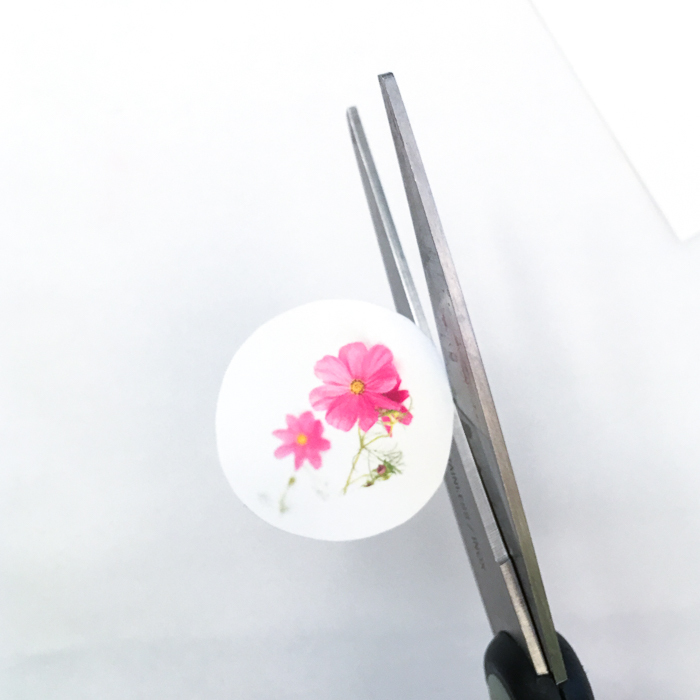 Carefully cut the flower photo to fit the bezel using scissors or the right size of paper punch. 2. 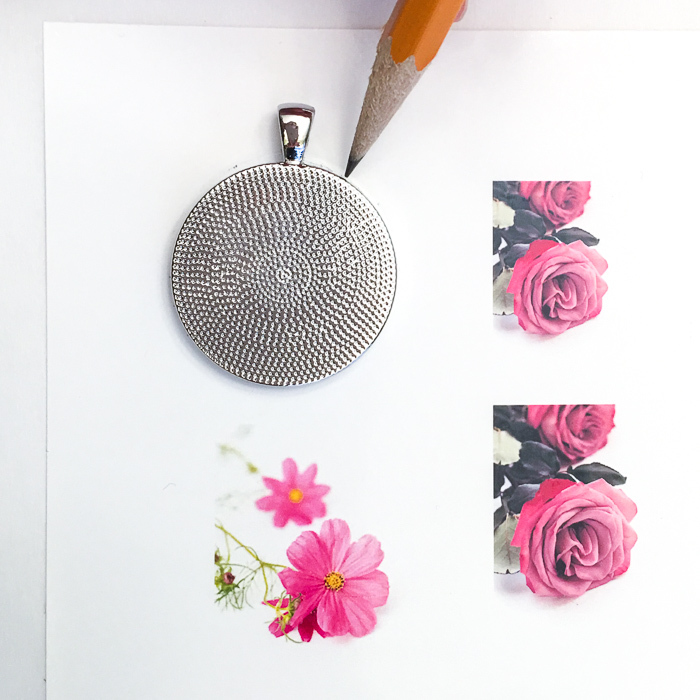 Paste the image into the bezel removing any bubbles underneath and generously coat the image and sides of the bezel with the multipurpose sealer. Let dry completely. 3. 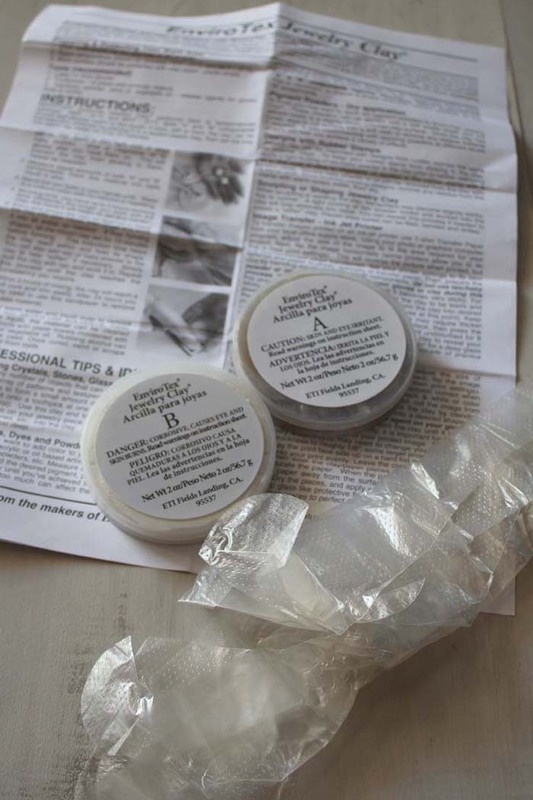 For best results be sure to read the instructions provided in the EnviroTex Jewelry Resin packaging. 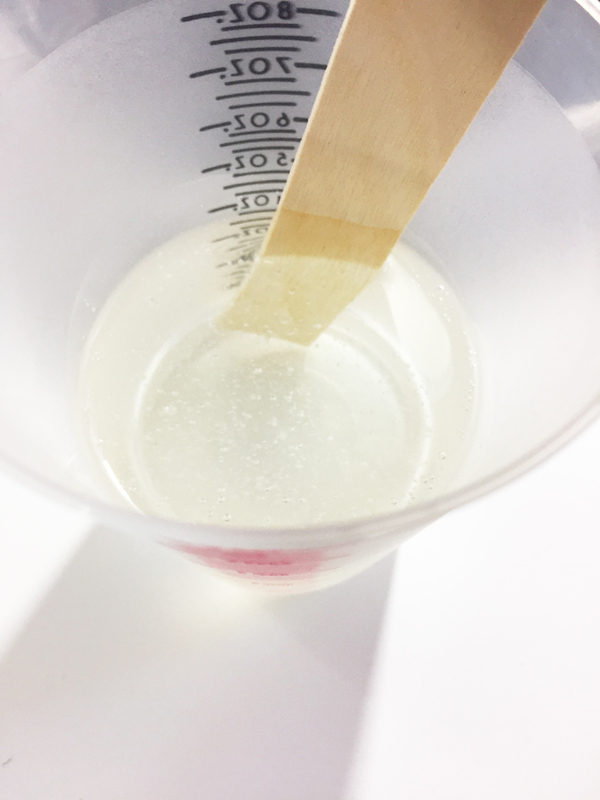 Mix exactly equal amounts of Resin and Hardener into one measuring cup. Stir continuously for 2 minutes, scraping the sides of the container. 4. Pour the mixture into a second cup and stir for an additional minute, scraping the sides of the container and stir stick. 5. 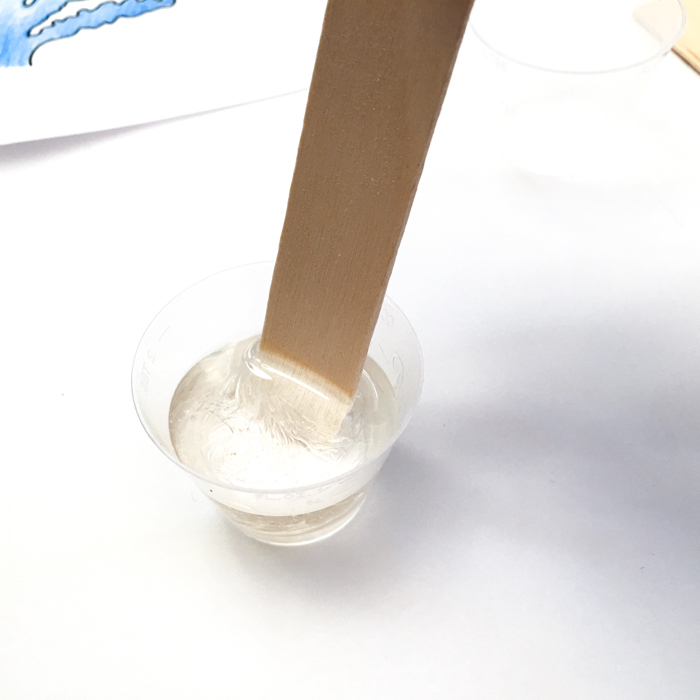 Using the stir stick, carefully dip your stick into the EnviroTex mixture and then drop into the bezel. Ensure that your bezel is level – I had to prop up one end a bit with a piece of paper. Fill the piece slightly higher than the rim for a nice dome finish. 6. Cover to keep dust from settling in. After about 25 minutes, remove any bubbles that have risen to the surface by gently blowing over the piece through a straw. Repeat if necessary after another 15 minutes. 7. Cover to minimize dust falling onto your piece and allow to cure overnight. 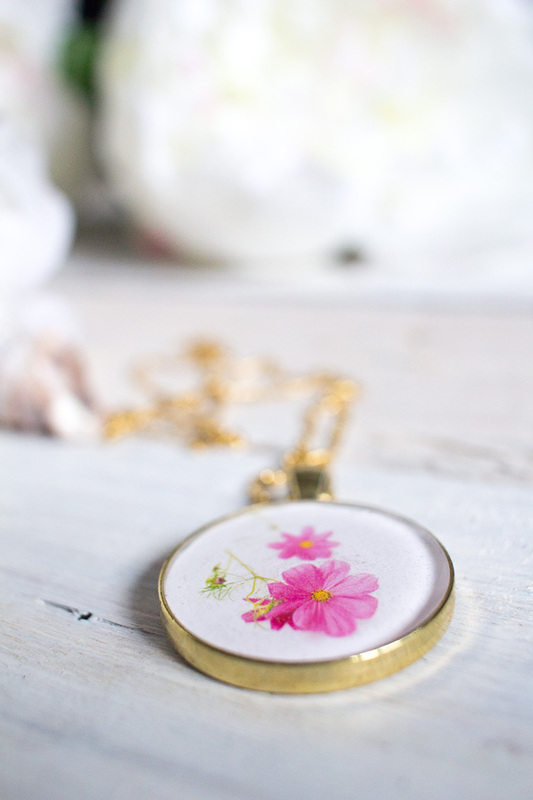 This pendant idea has me on the look-out for all the flowers to photograph over the coming months! 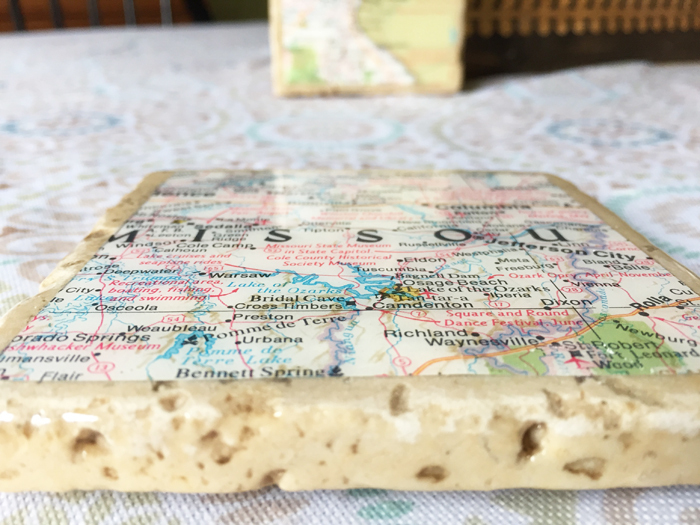 If you are looking for another beautiful DIY resin jewelry idea, you’ll love this wood slice resin pendant created by our fellow #ResinCraftsCreativeTeam member Sheri as well. Had you heard of birth flowers of the month before? Graduation season is upon us. Whether you’ve got a college graduate about to make his way into the world, a high school senior about to take her first steps into society or a kindergartner who is about to make the transition to a full day of school, it can be overwhelming to see a special young person in your life taking on new challenges. 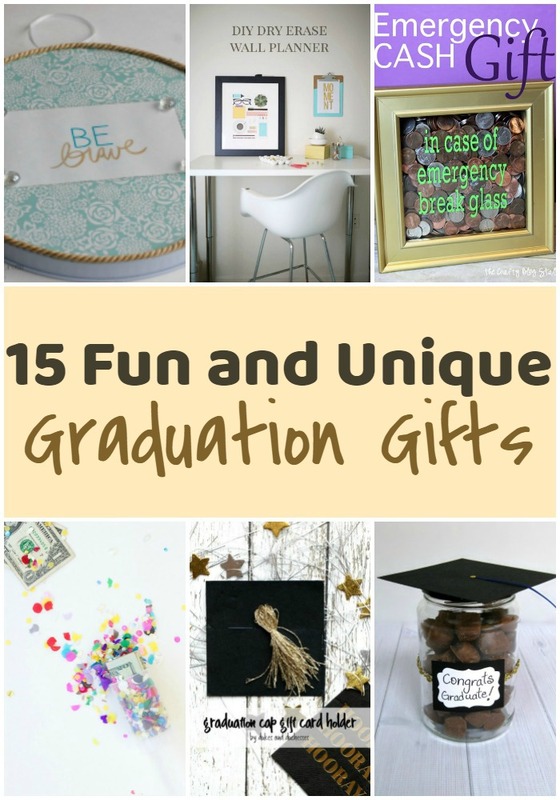 If you want to do something special to commemorate the occasion, here are 15 fun and unique graduation gifts that will mean a lot to them. 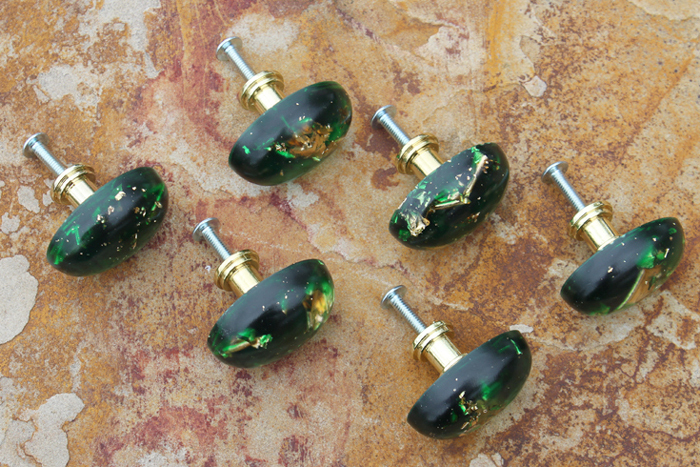 Have you ever crafted your own cabinet knobs and pulls? It’s an awesome DIY. 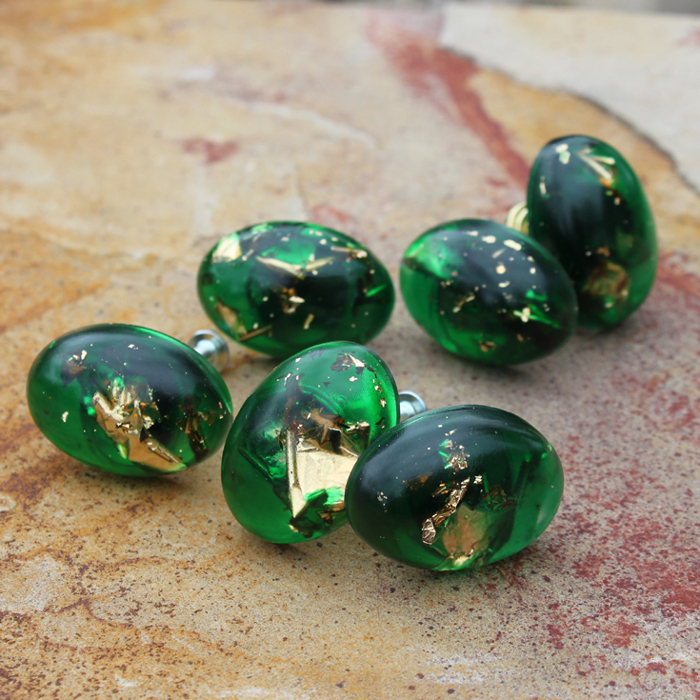 Using Emerald green translucent dyes and gold leaf curls, these knobs are gorgeous! I was totally inspired by Brancaster Castle on the Chrismtas Special of Downton Abbey. 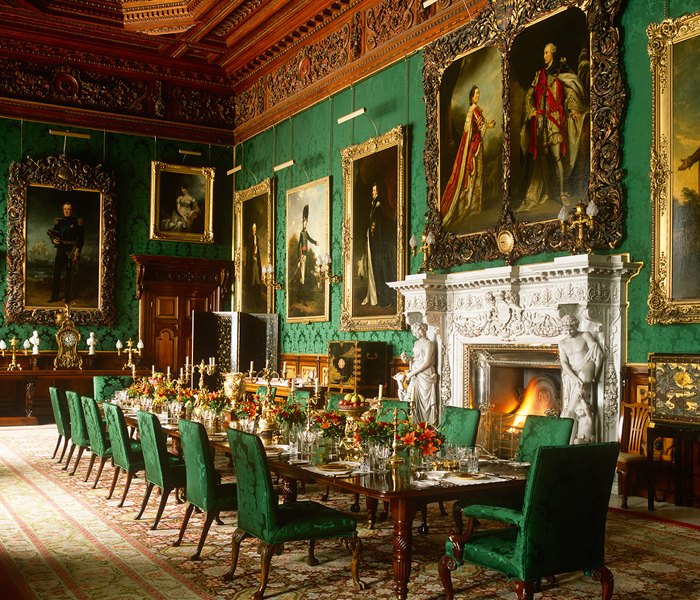 (source) It’s also the castle that Lady Edith marries into. I love the emerald green and the gold! It’s so glorious! So that’s the inspiration for these awesome cabinet knobs. Imagine the possibilities as you read through this tutorial! This stuff is very smelly, please work in a well ventilated environment. I should have taken these to the garage, but I did it in the house instead. Even with all the windows and doors open, I still got a chemical headache. 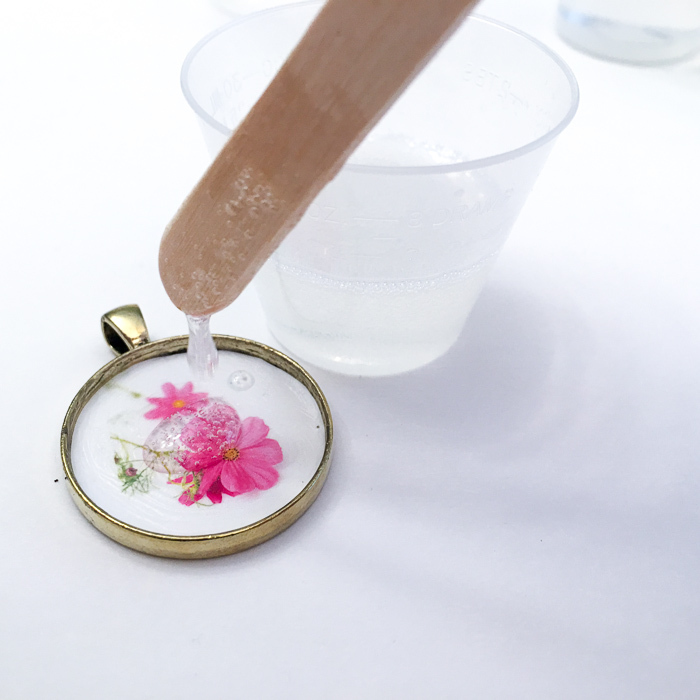 ~ Read the instructions on the clear casting resin well. They are a little bit vague on how much of the hardener to drop in. I mixed up a whole cup of resin at once, because I had several other projects going. But really, you just need enough to fill half of your molds initially. You can use Mold Release Spray, but mine popped out just fine without it. Fill the molds half way. My mold had a bit of a bow in it so I set some items on top of it to straighten it out while setting. Let it sit for about an hour. It won’t be completely set, but it will be gel like and ready for leafing. I used less than one sheet of leafing and just rolled and broke it up. 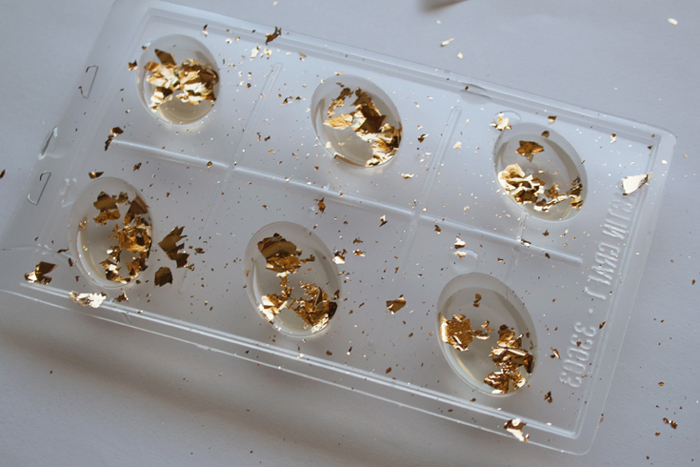 If you have gold leaf flakes, that would be easier. It kind of gets everywhere! No worries. Just let it sit undisturbed for another hour. Next I mixed up a little more resin (in a new cup with a new stirring stick) I made just enough for my molds and added just a couple drops of green resin dye. It’s not opaque, it’s translucent, so the gold leaf will still show through. 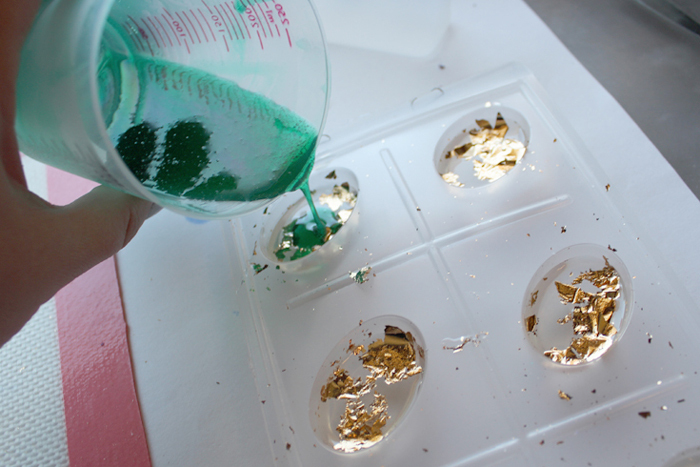 Then gently pour right on top of the gold leaf and fill to the top of the mold. Then let it sit undisturbed for a few days. I let mine sit for a week to be sure it was cured. 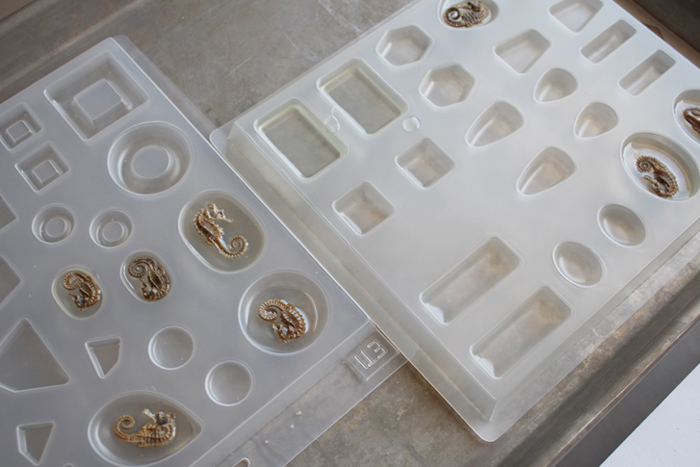 I popped them out of the mold and let them sit a couple more days because they still had a little resin smell to them. But look at that! They look amazing. 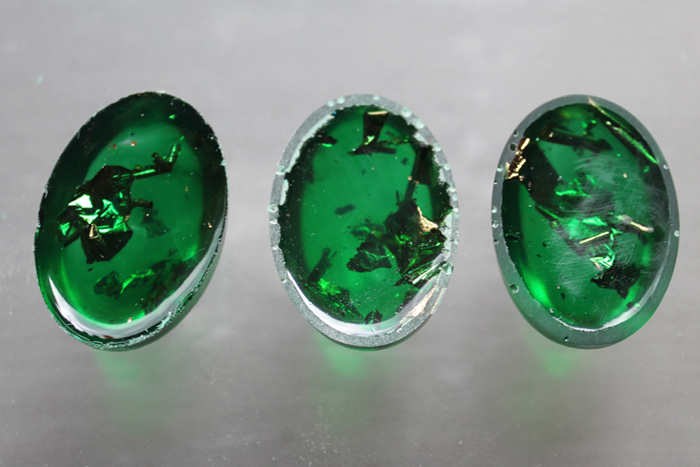 Now, because I did not wait for the clear resin to set completely, the green resin mixed in with the clear and made them all emerald. I actually love it. They wouldn’t have looked as good if they had a harsh clear to colored line. 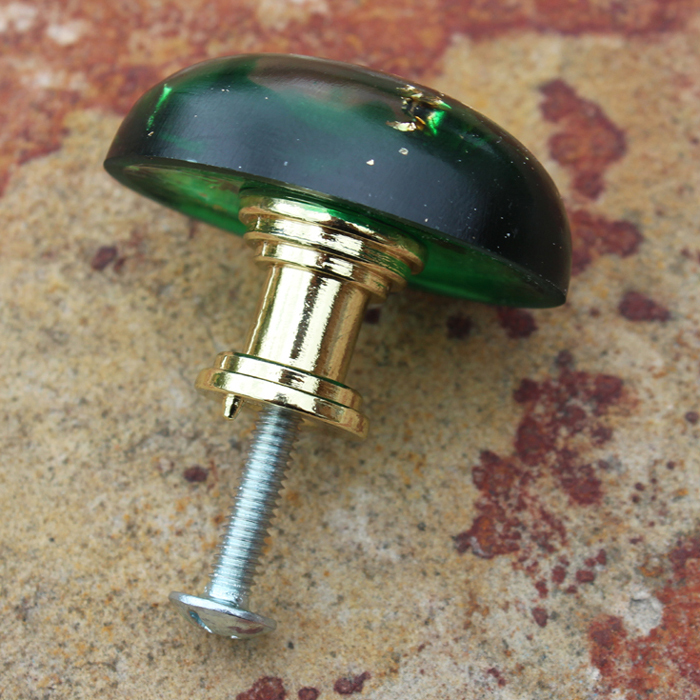 A dab of glue on the hardware and then set gently on the back of the knobs. I set them on bubble wrap so I could keep them straight even though the surfaces are rounded. I’d love to feature these on a vintage dresser or high boy or added to all the cabinets in the kitchen, imagine all 6 knobs visible! 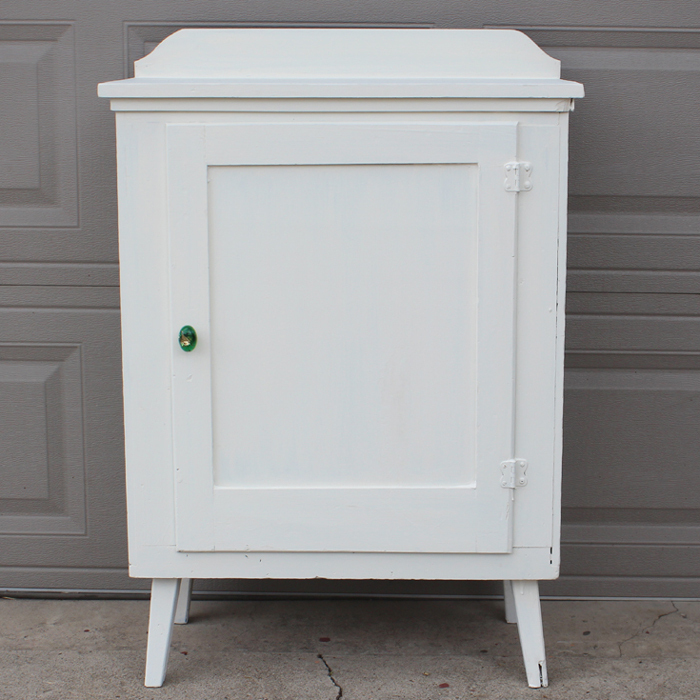 But alas, I have this short hutch and it needed a knob…this adds so much classiness to it! It’s stunning and personal! I have so many other fun cabinet knob ideas now. Like, share, save, follow, comment and pin! Did you know that making bath bombs is really super simple? We are making some in a starfish shape below but imagine what other shapes you can create! Once you learn how to make your own mold and bath bombs then the possibilities are endless! Bath bombs are great for gifts and party favors. Get started making bath bombs today. First read over the directions that come with the putty. The tutorial is below but reading the directions first will give you a greater chance of success. Then measure equal parts of the purple and white putty. This can be measured by weight or volume. Next kneed the two products together well. This putty has a short working time so being quick is essential! Mix until the product is one uniform color. You will then flatten the piece to make it easier to form the mold around the starfish. Finally, add the putty around the starfish as shown below. Make sure all areas are covered and that you press it well onto the shape. Then just allow the product to cure according to the directions. I personally love this putty because it is easy to use and cures fast. You can have a mold in no time at all. Pop out your starfish once the mold has cured. Who is ready to make some bath bombs? I am sure you can think of more great bath bomb shapes as well! Yes the possibilities are endless! First mix the Epsom salt, corn starch, baking soda, and citric acid in a bowl. NOTE: This recipe makes about five of the starfish molds shown. Next add in 5-10 drops of essential oil to scent and stir well. Then start slowly dripping in water. NOTE: Every time liquid is added the citric acid will fizz. This is okay! Drip in a few drops of water at a time and mix well. Try to mold the mixture in your hand as shown below. Repeat until the mixture sticks together like in the image below. It should be fairly dry and powdery but will mold well when squeezed. Be careful and do not get your mixture too wet. Next pack the mixture into the mold. Press well to ensure that it is really well packed. Place in the fridge for about an hour. Then carefully pop the starfish out of the mold. 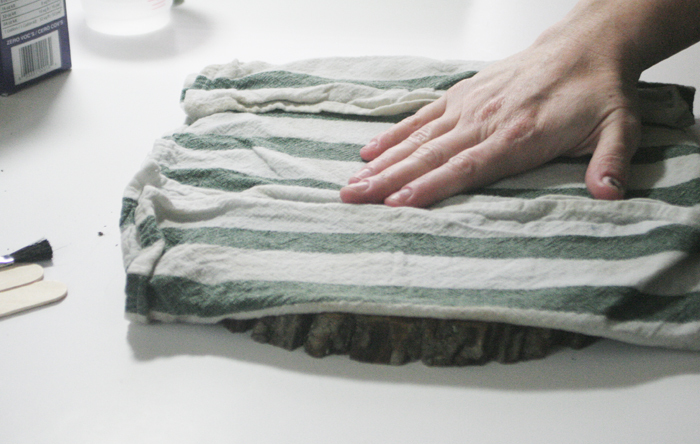 Repress with your hands in any areas if it starts to crack or fall apart. Finally air dry for a day or two before touching. You can see a real starfish below next to our bath bomb versions. They actually look real! You can then add a bath bomb to a clear plastic bag and tie with a ribbon for a gift. Add as many you like to the bag. Making bath bombs is easy and they are perfect for gifts or favors. These starfish bath bombs work great for a nautical themed baby shower. Make up a large batch of the bath bomb mix and make as many as you need. 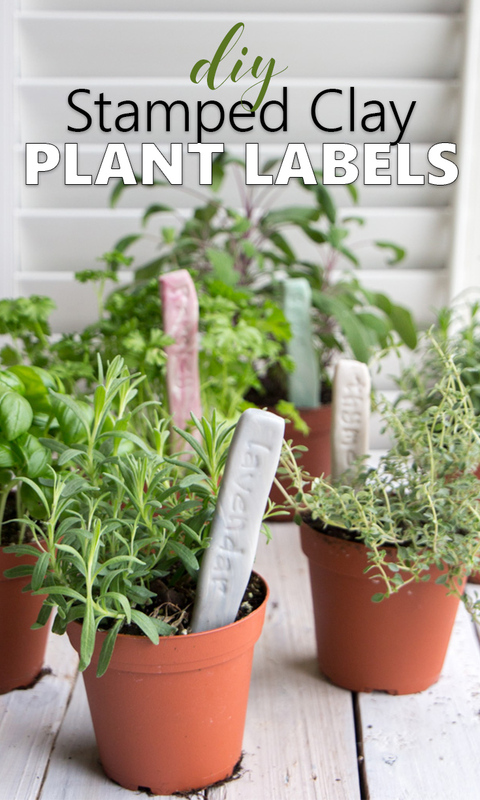 They are easy to make and so cheap! What shapes are you thinking of? The EasyMold Silicone Putty can help you to create bath bombs in any shape that you desire. Then you will be making bath bombs in the shapes of your dreams! A wedding is always a chance to celebrate with those who are nearest and dearest to you. Many couples choose to create registries both online and in store, choosing exactly the gifts that they want. But more and more these days, many are happy just to know that their friends care enough to be there with them on the big day. Whether money is tight or you just want to show your friends how much they mean to you (or if you just think you can do better than those big box stores! 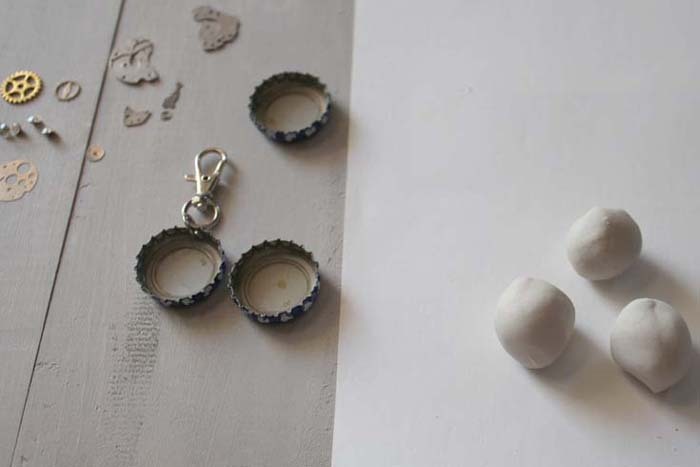 ), here are 16 Beautiful Handmade Wedding Gifts to Inspire You. 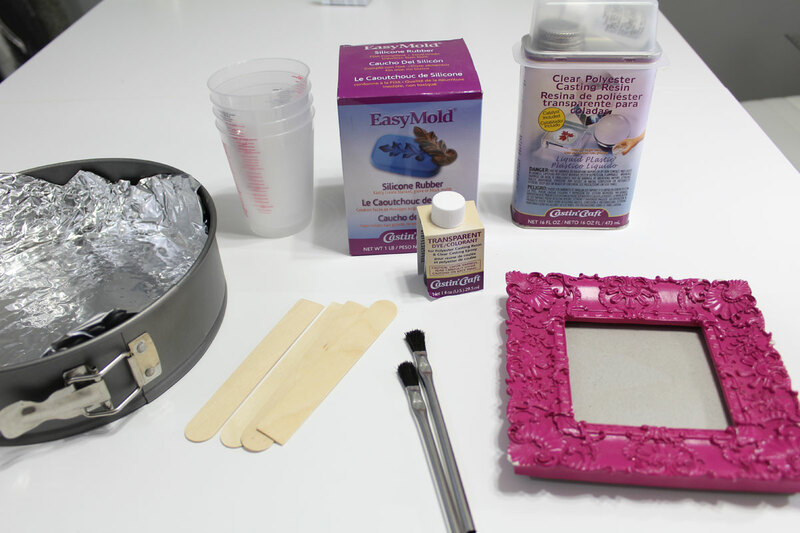 The first thing you want to do is fit your wood pieces into molds that you want to use, and spray those sections of your jewelry mold with the Mold Release Conditioner Spray. Let Dry. You also need to seal the wood pieces by coating them entirely in Ultra Seal and letting them dry. The Ultra Seal glue goes on white, but dries clear. Next, prepare a work surface that won’t get ruined should something spill. 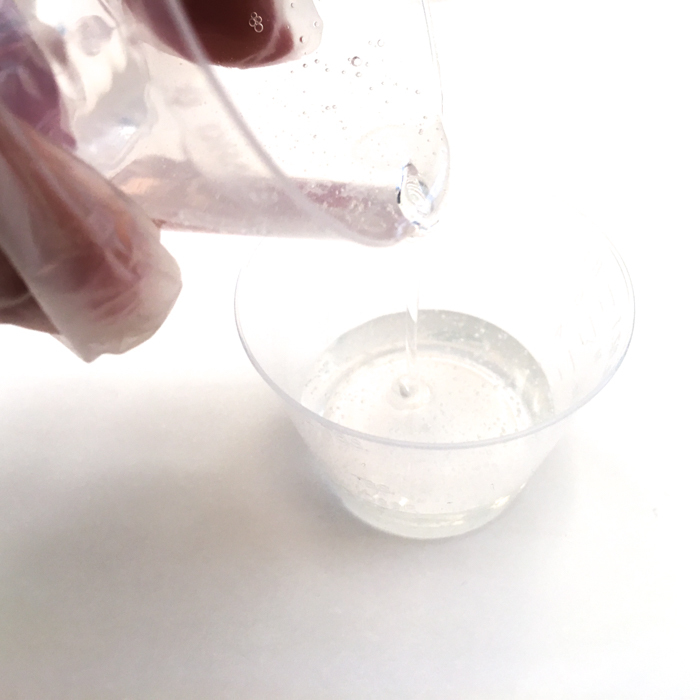 The EasyCast Clear Cast Epoxy comes in two parts. EasyCast performs best at at least 75° F . The bottles should feel slightly warm to the touch, if they feel cool, they must be warmed by placing them in warm tap water (not hot) for 5 to 10 minutes prior to using. If bottles become overheated, allow them to cool before using. 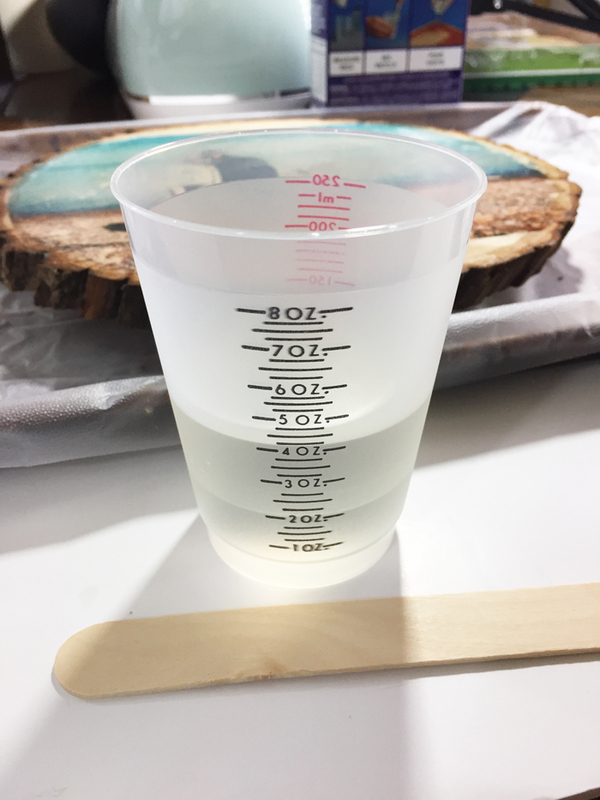 First, measure a small amount of the part A resin into a straight sided, flat bottom, wax free measuring container. 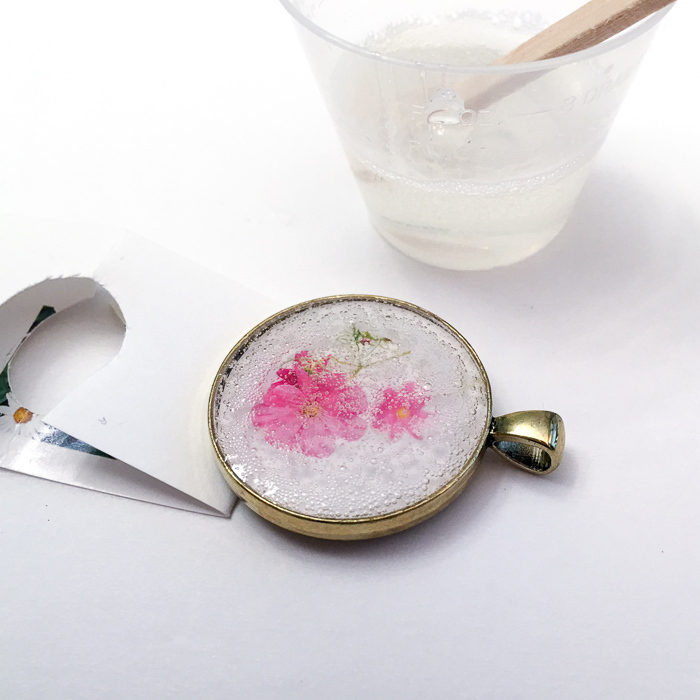 My small cups had markings for measurements, and as the pendants are small, I did not need a lot of resin. If you need more, you’d want to use a larger mixing container. Next, measure the exact same amount of the part B hardener. Be as accurate as possible, as too much or too little will result in soft or sticky castings. 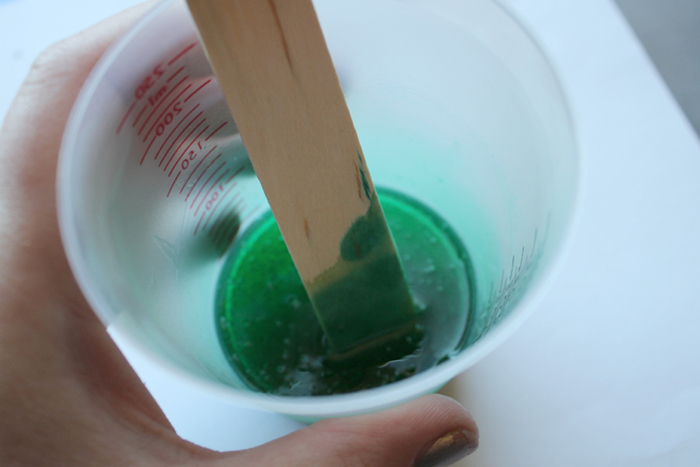 Use your wooden stir stick to mix the two parts thoroughly. Be sure to scrape the sides and get all of it mixed as much as possible. Stir together for about two minutes. Pour the mixture into the second cup and continue stirring with a new, clean stir stick. This is called the double-mixing method and is necessary to ensure your two parts are completely mixed. Now add your transparent dye, or whatever color you are choosing for your project and stir in completely. Now grab your molds and your wood pieces and make sure the wood is in place inside the mold. Slowly pour the resin into the mold. I held the wood piece in place also, to be sure it didn’t move while the resin was settling. 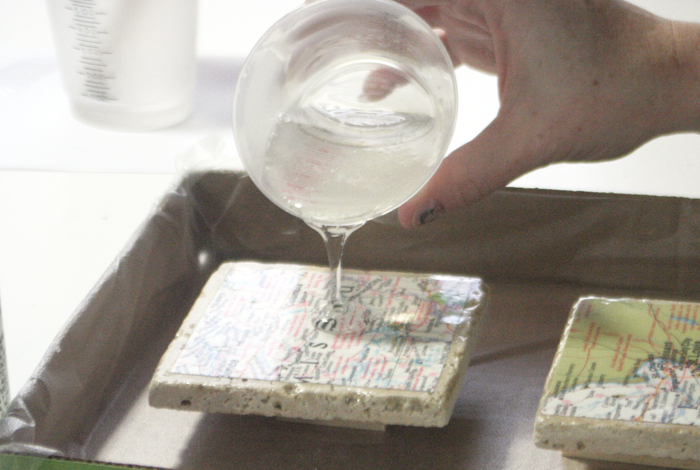 I opted to make two pendants this time, so here you can see me pouring both. 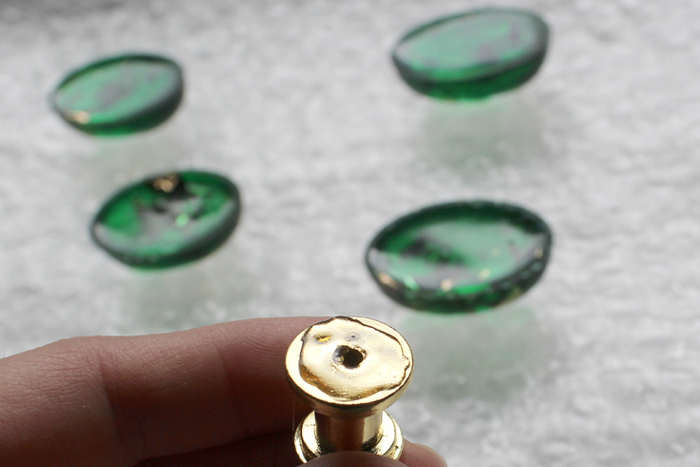 After the resin sits for a few minutes, small bubbles will appear at the surface. This is where I used my micro butane torch and quickly swiped it over the pendants. 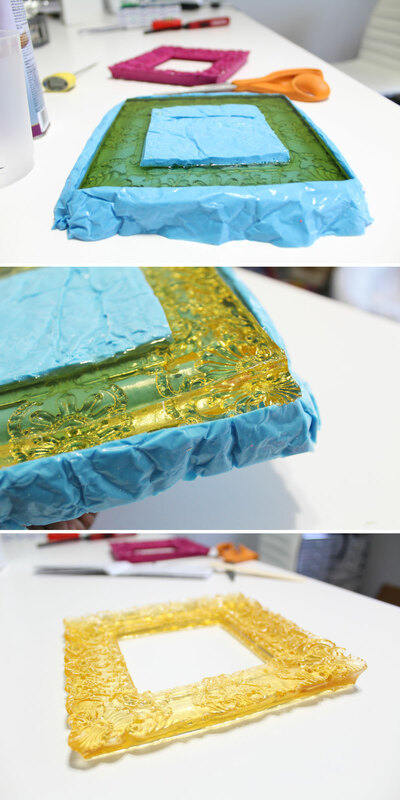 This does give off a lot of heat which will melt the plastic mold, so do this very quickly. 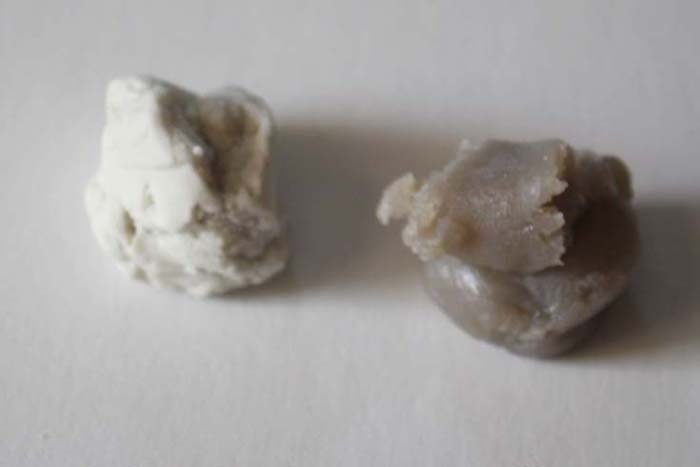 As you can see in this photo, I had plenty of excess resin so I just put it into nearby molds and cast some random pieces so that it wouldn’t go to waste. Let the resin cure for 48 -72 hours depending on the temperature of your room or thickness of the cast. I checked mine after 48 hours and it was cured hard. 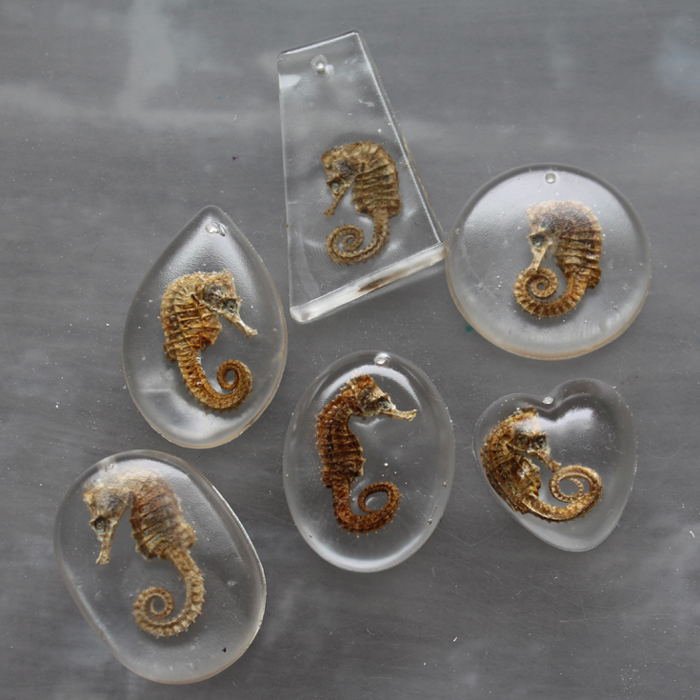 Alright, now that you have your pendants cast, pop them out of the molds and get your sanding tool ready. Always use eye protection and don’t forget your dust mask, you don’t want to inhale the particles. Safety first! As you can see here, I am using a fairly coarse sanding tool at first to sand down the wood pieces to be even with the resin. In hindsight, it would have been easier to use a thinner piece of wood, but this ended up working just fine, there was just a bit more sanding to do. Here’s a sanding action shot. Once your wood is sanded down, switch to a finer sandpaper and roughly shape the pendant. Next, I used some sanding film that I bought at the hobby store and sanded every side of the pendant with fine sandpaper (600 grit) and then very fine sandpaper. I believe this sandpaper went up to 1200 grit. You don’t want to cut this step short. This is important to reduce any scratches in the resin which would be left by coarser sandpaper. It takes awhile, but it is worth it to get a smooth finish. 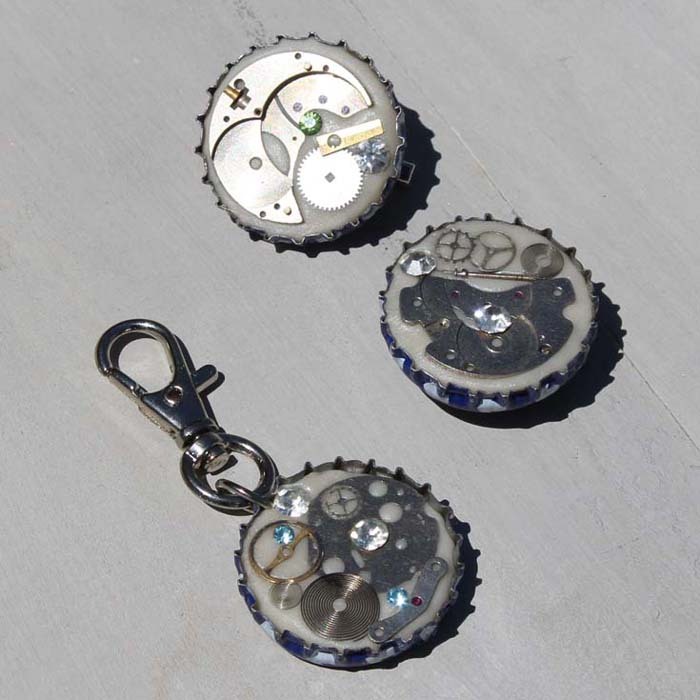 At this point I used a small drill bit on my Dremel tool to drill a small hole in the pendants. 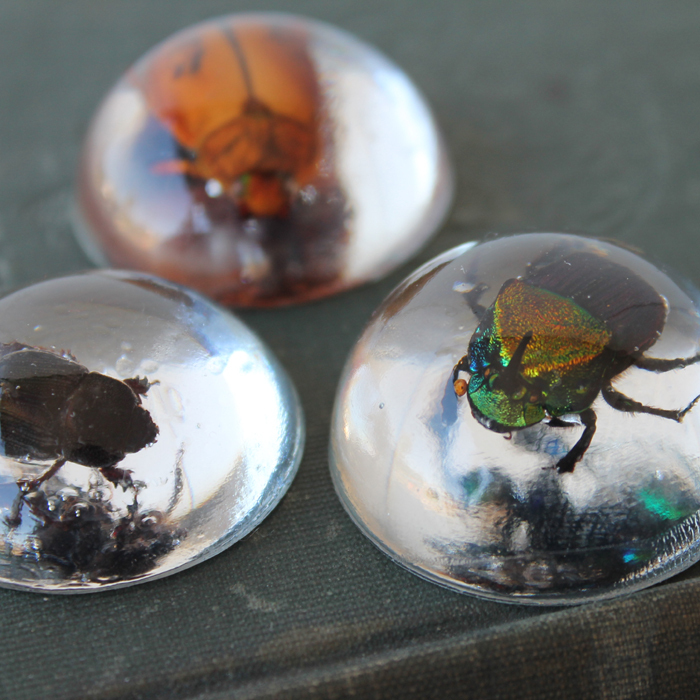 Finally, coat the pendants on each side with Resin Spray. This will give it a nice glossy, clear finish as you can see here. Be sure to coat each side completely, but don’t overdo it. I added some jewelry jump rings and necklace chains. Now you have an amazing wood and resin pendant (or two)! If you’re a fan of Pinterest, please share this great pinnable image! I hope you enjoyed this tutorial! 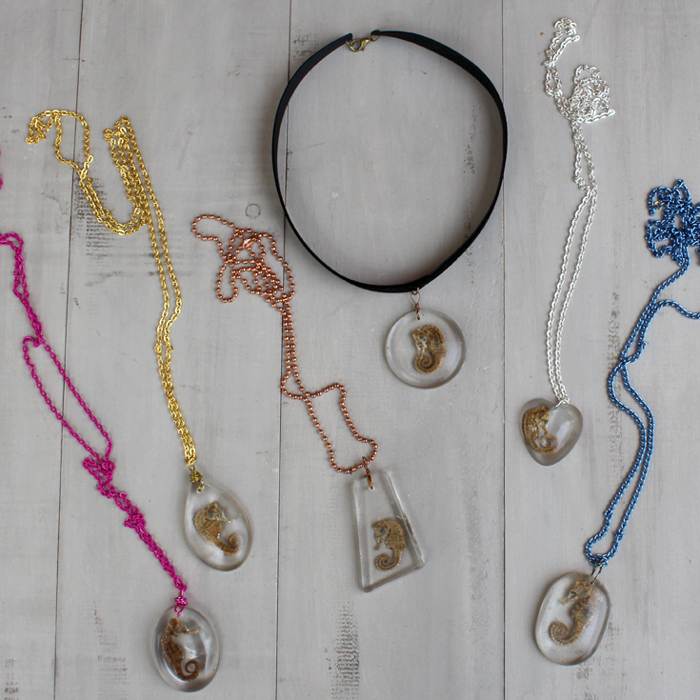 I am loving my new necklaces and hope this inspires you to try out some resin jewelry! Thanks so much for stopping by! Block letters are so versatile and trendy in home decor. You can find MDF and wood letters in craft stores that are great to use for DIY monogram decor. They’re ideal alongside photos on a gallery wall, as DIY shower or wedding decor, to decorate a nursery or to personalize a baby shower gift. There are a number of different ways to embellish these letters including painting or using decoupage. We decided to give an interesting three-dimensional and textured look to one using lace, ribbons, buttons and EnviroTex Lite resin. 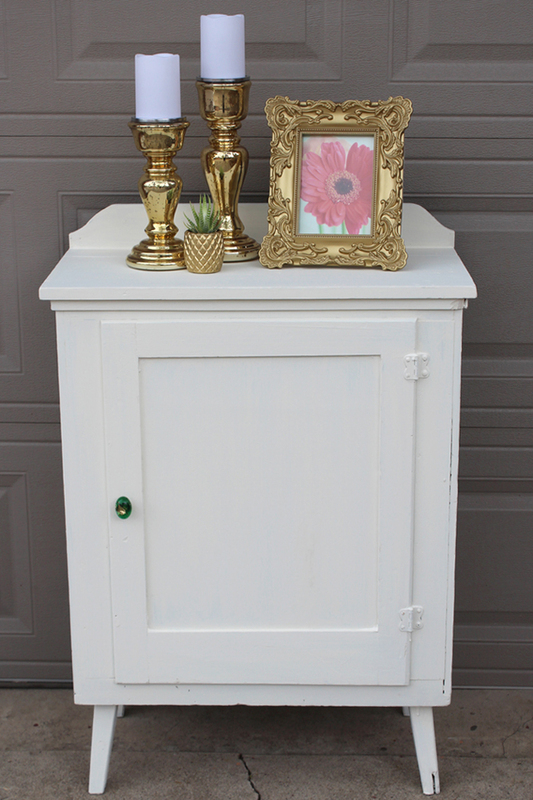 It would be lovely for a rustic or shabby chic wedding or to give a romantic touch to your modern farmhouse decor. While you can find monogram letters with a rim (search for recessed wood letters or marquis letters) we didn’t find one that suited our needs so decided to make our own. If you already have a rimmed letter, you can skip the first section below. Be sure to fully read all instructions in the product packaging before starting. Work in a well-ventilated area using appropriate protective materials (e.g. gloves, glasses). Protect your work space with wax paper. Scoop out equal parts of the 2 Easy Sculpt Clay components using two wooden sticks (avoid cross-mixing the materials in the containers). Spread some of the release agent on your gloves to keep the keep the clay from sticking. Completely blend the two components together until a consistent colour is achieved (no ribbons or marbling; about 1-2 minutes). Separate the clay into three small balls and then roll each between your hands to create long cylinders. Use the cylinders to create a rough “rim” on the top surface of the letter, about ⅛” thick. Let the clay cure for about an hour to stiffen then using flat surfaces such a the wooden craft sticks, press and straighten the clay. Repeat again as the clay cures even further and then leave overnight to fully cure. As it cures the clay will adhere to the letter and stay in place. Paint the fully cured clay and monogram letter with an acrylic craft paint colour of your choice (we used white). Determine the finished look of your DIY monogram decor by laying out the lace trimmings and buttons inside the recessed letter. Take a picture if needed to remember the arrangement. Using a medium sized paintbrush, apply a coat of multipurpose sealer to the inside of the painted and rimmed monogram to ensure any small cracks are sealed to prevent resin from seeping through. Set aside to dry. 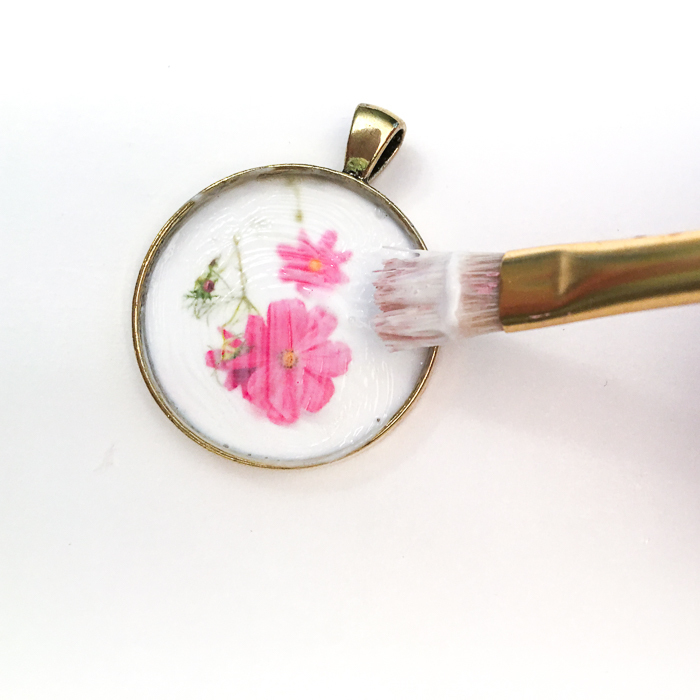 Using a small paintbrush, apply a coat of multipurpose sealer to the lace trimmings as well as any other found objects that are considered absorbent materials, such as wood, fabric, leather, etc. Set them aside to dry completely. Secure the lace trim and buttons to the base of the letter using a multipurpose sealer. Continue to apply another coat of the the sealer over top of the embellishments and let dry completely. Measure equal parts of EnviroTex Lite Resin and Hardener. Combine into one cup and mix using a stir stick for two full minutes. While mixing, scrape the bottom and the sides of the mixing cup. Pour the contents into the other container and continue to mix using a new stir stick for one minute. Be sure to follow the instructions included in the packaging for the best results. 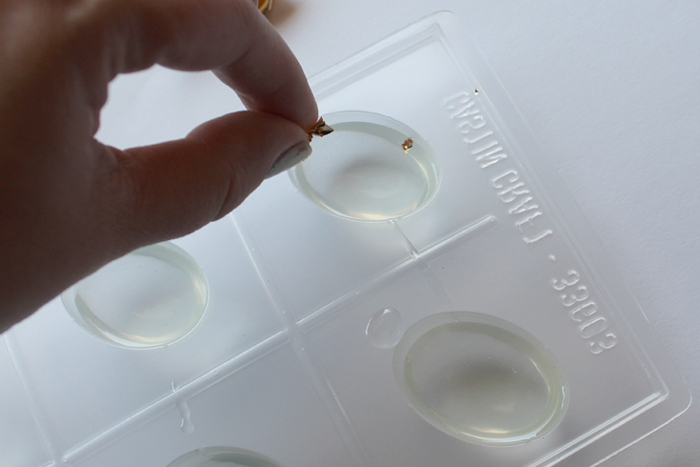 Carefully pour the resin mixture into the prepared monogram letter. 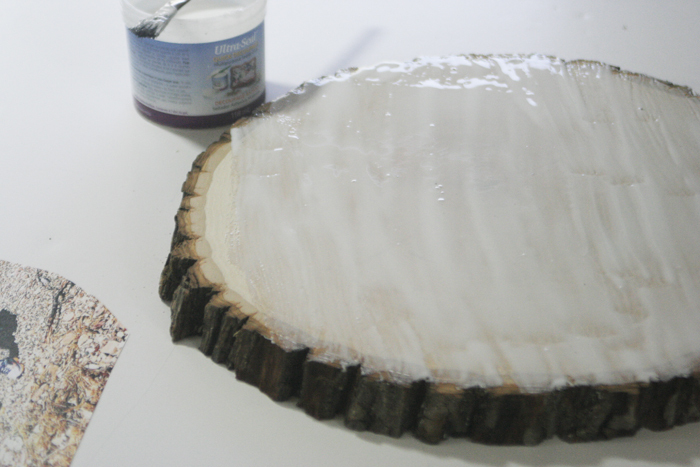 Fill to just below the top of the letter rim and let the resin settle and level on its own. 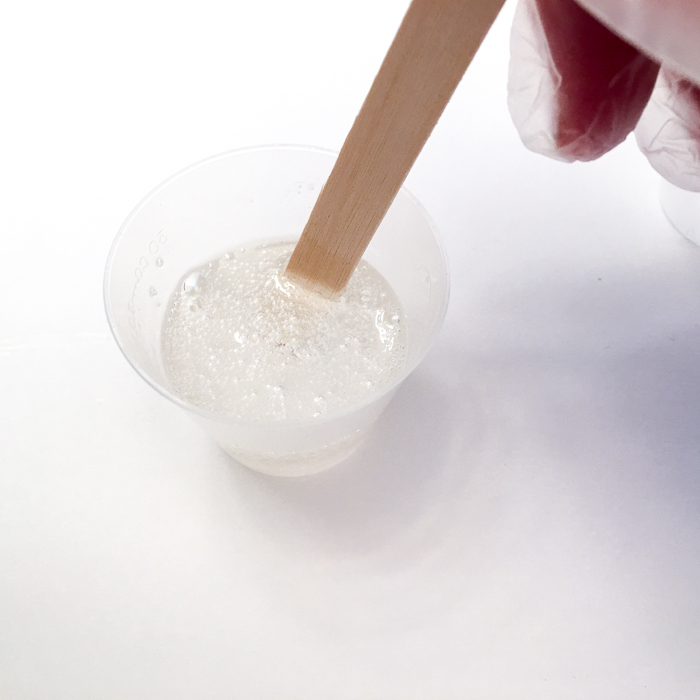 Remove any bubbles that rise to the surface with a toothpick. Gently “torching” the surface with a flame also helps to remove bubbles as they rise to the top. Repeat this process as often as is needed before the resin fully cures. Leave the resin to cure on a flat surface overnight. 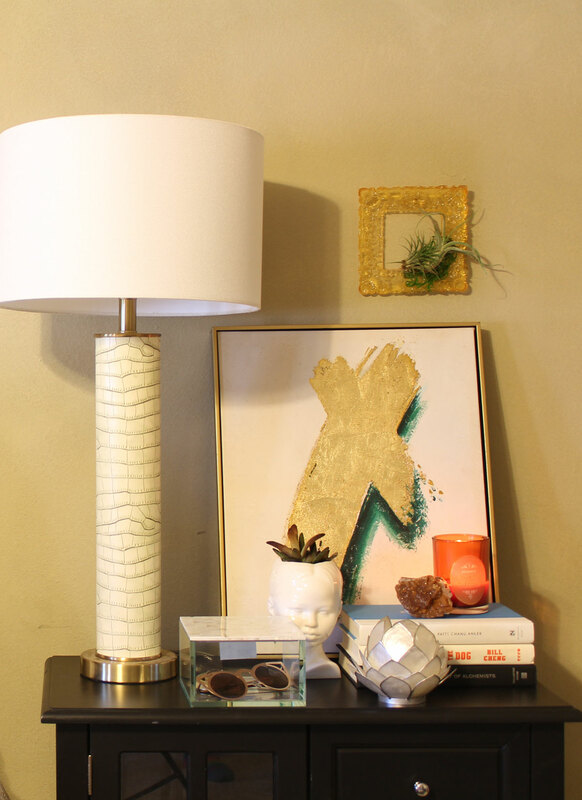 We are so happy with how this DIY monogram decor turned out and see so much potential for using different embellishments such as small seashells for a coastal vibe, dried flowers for a natural touch, or glitter and beads for a fun modern twist. The possibilities truly are endless. 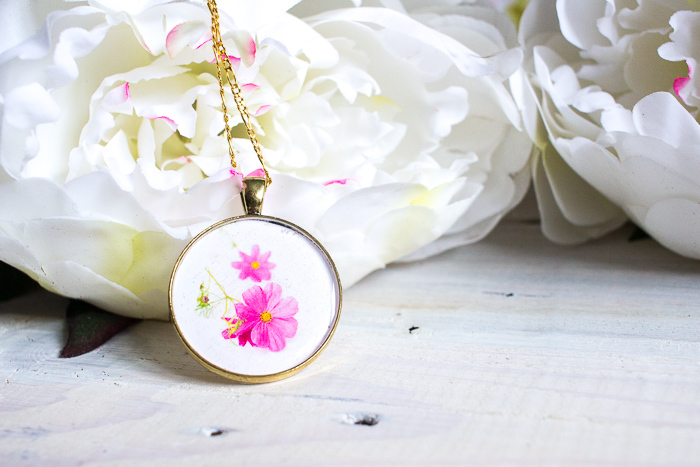 Mother’s Day will be here before you know it, and there’s plenty of time to treat the mother in your life with something heart felt and hand made. 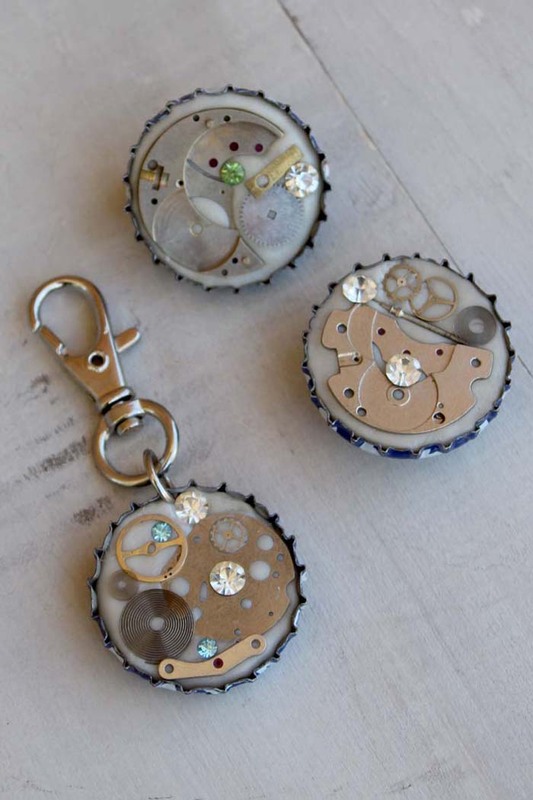 Creating your own jewelry has never been easier or more accessible, and children of all ages can find projects that show their moms how they really feel. 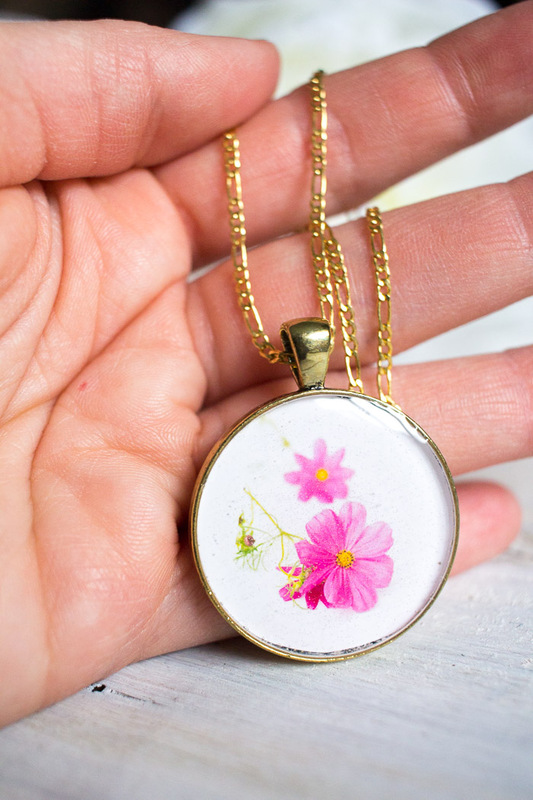 Whether you want something fun and colorful or something a bit more high-end, these 21 Meaningful DIY Mother’s Day Jewelry Ideas will rock your world! 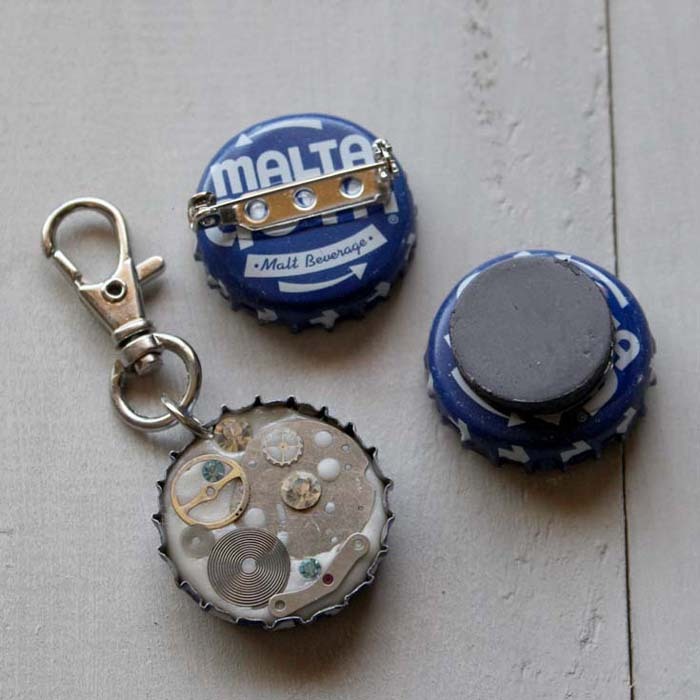 So, what do you do when you have a vintage button that you love and don’t want to throw it away? You hoard it forever until you find out about the perfect product(s) that gives you the opportunity to replicate it. That’s what happened with this brass button I’ve been having since – forever. I normally wear it as a pin on one of my favorite jean jackets (I just use a needle and thread and sew it on like you’d normally sew a button), but now that I’ve discovered ETI’s FastCast Urethane Casting Resin and EasyMold Silicone Putty, I can now replicate my favorite button to use however I want. Initially, I wanted to create a bunch of replications and use them to make some kind of trim detail on a piece of furniture, then I remembered I had this gray velvet pillow that needed a little something extra. I knew tufting it with buttons would really dress it up. Let me show you what I did to make a tufted floor pillow with buttons. First, we make the mold. Using the EasyMold Silicone Putty, you’re going to take out an equal amount of both the white and purple components. Because I’m making a mold of a tiny button, I only needed about a penny size piece of each component. Next, you’re going to knead together both components until you get a consistent purple color throughout. 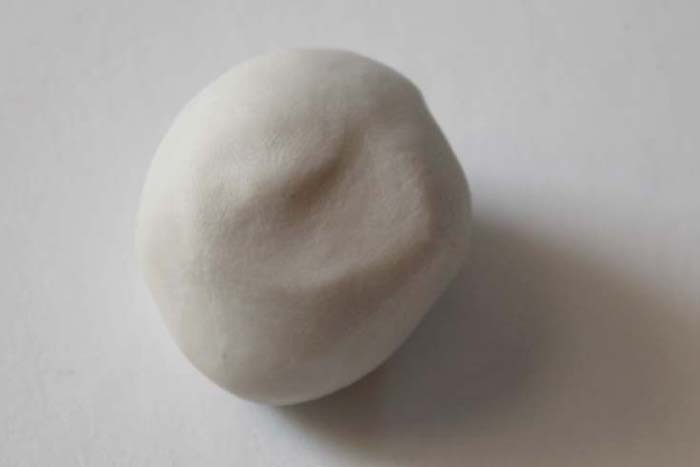 Then, roll the putty into a ball, flatten it, and press your button into it. You’ll need to leave the button in the mold for 25 minutes so it can cure. Next, remove your button. You’re now ready to use it to make even more “buttons”. When making the mold, I decided to make it a flat mold. So, there will be no thread holes on these buttons. I’ll use E6000 to glue them on the pillow. 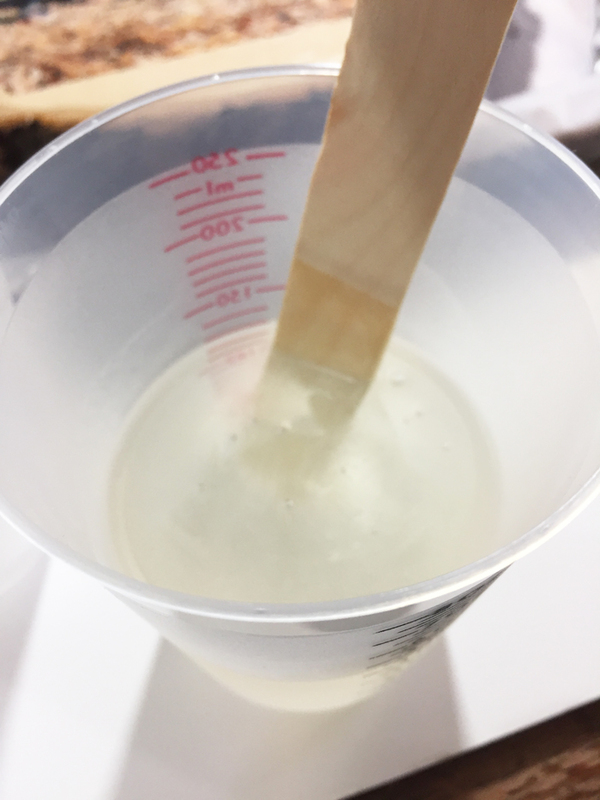 Using the FastCast Urethane Casting Resin and two small measuring cups, measure ½ teaspoon of both part A and part B of the resin and mix them together in a measuring cup. Mix for 30 seconds. Pour all the contents into a second mixing cup (to ensure you’re getting a complete and thorough mix) and stir for another 60 seconds. 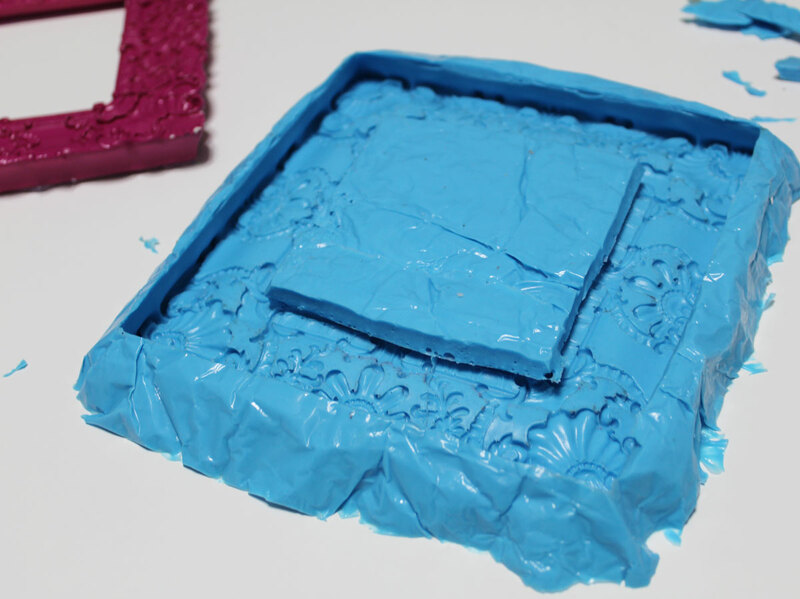 Immediately pour your resin into your mold and let cure for 10-15 minutes. Remove your “button” from your mold and repeat the process as many times as you need to. 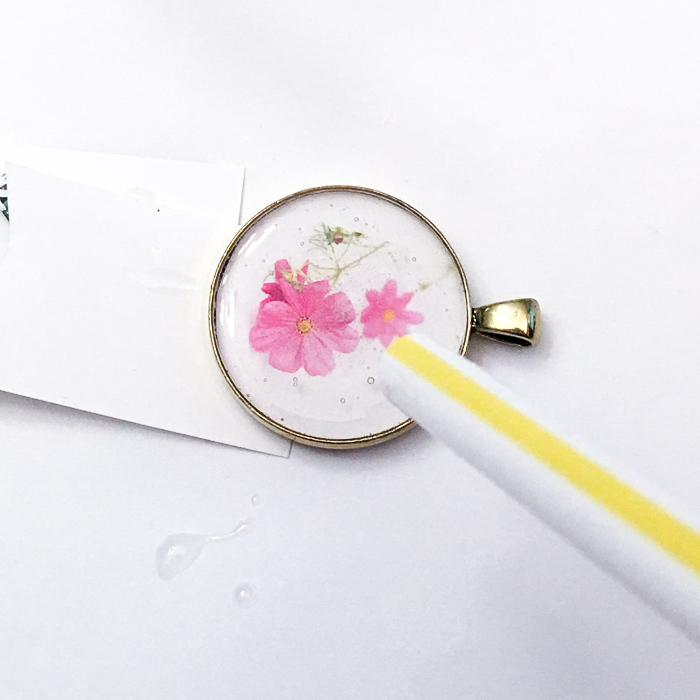 Once your button has cured, you can now use your acrylic paint to paint it any color you want. For my buttons, I had to paint a very, very thin layer of the royal blue acrylic paint, because the paint kept settling into the crevices, which made the details disappear. Mark on one side of the pillow where you want your tufts and buttons to be. Add your stuffing to the pillow and using a long, threaded needle, put needle down through the front of the pillow and come back up about ¼” from the place you came out of. Make sure you’ve left a about a 4” length of thread at the beginning. Pull taut to make a “tuft” and tie a double knot in the thread. Cut the ends of the thread off and repeat for the other button locations. 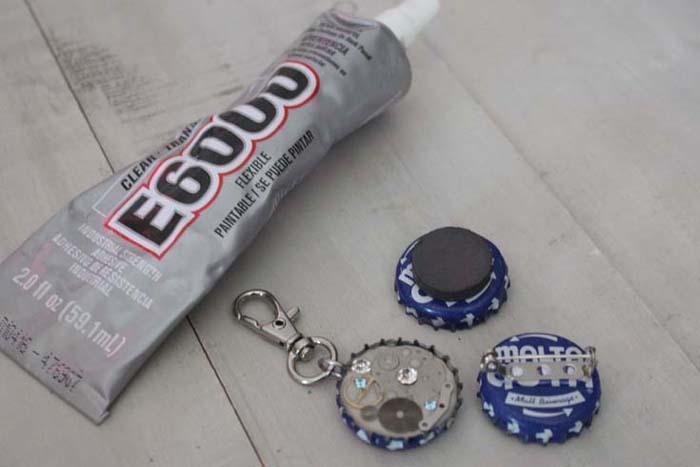 Use E6000 to glue a button at each button location. Next time if I do a similar project and need to cast multiples of one item, I’ll make sure to make more than one mold, so I don’t have to wait for them to cure one at a time. Now it sits on the floor next to my fireplace and will be handy for my dog, Pocahontas. I just need to make about two more to make it a cozy set. I hope you’re inspired by my project! I can’t wait to show you what I do next! DIY candle making is actually easier than you think. I used it to make these mason jar candles and I love the way they turned out! You can make candles in any shape by creating your own mold. I just had to choose a mason jar however because I love them! We will start with instructions on making your own mason jar mold then move onto pouring the candle. 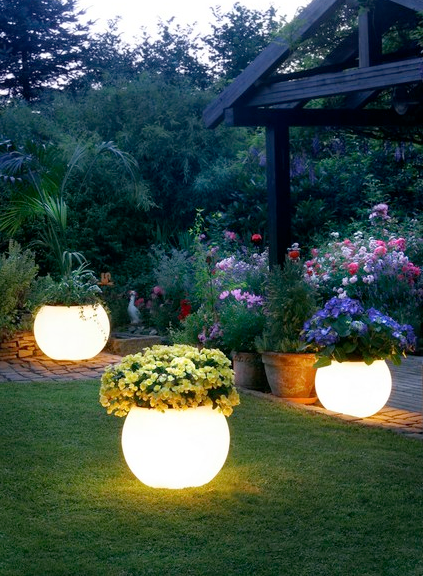 These will look great sitting around your home or as thoughtful gift ideas! 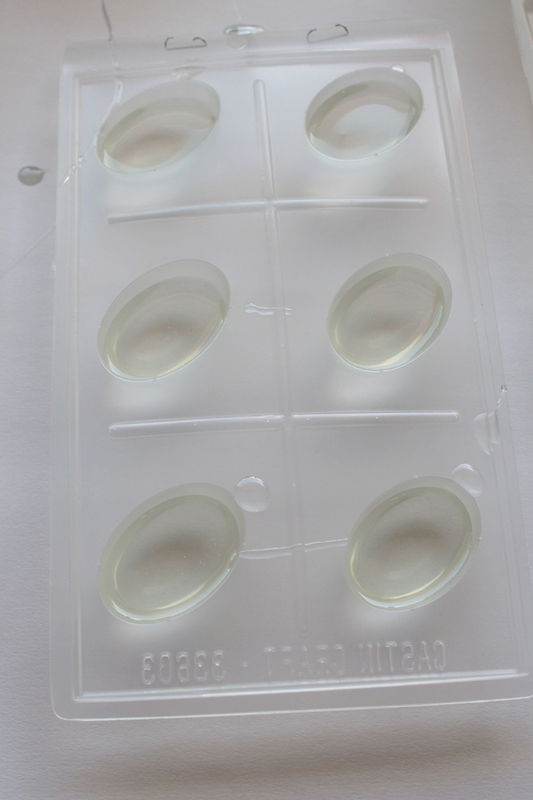 The bottom of the mixing cups are domed but we will need a flat surface to make a mold. I put a layer of hot glue in mine and allowed to cool. In the meantime, you can begin to mix your product. Pour the two components into a different mixing cup. I used the measuring cup to measure out 2 oz of each component. Use the stirring stick to mix very well being sure to scrape the sides and bottom. Follow the instructions that come with the product and use a two cup mixing technique. Once mixed, add your mini mason jar to the bottom of the mixing cup that has the hot glue in the bottom. Apply hot glue all the way around the top of the jar and stick it down well into the bottom. You want a tight seal that will not leak. We are now going to begin to make a mason jar mold! Start slowly pouring the mixture around your mason jar. Read all instructions that come with the product to properly pour and keep bubbles to a minimum. Continue to pour until you get to the area where the mason jar begins to decrease in diameter. We want to be able to get the jar out easy later so leave that area with no product. Bubbles will rise to the top as the product cures. I lightly tapped the entire thing on the table for about 20 minutes to get as many bubbles out of the mold as possible. Set aside and allow to cure at least 24 hours. Again be sure to read the instructions that come with the product. Once cured, I found it easiest to just use scissors and cut away the cup. Be careful as the shards will be sharp! Once the cup is cut away, wiggle the entire thing to release the jar and mold from the hot glue you used in the bottom. Wiggle the entire thing and push the jar from the threads end. It releases fairly easily. 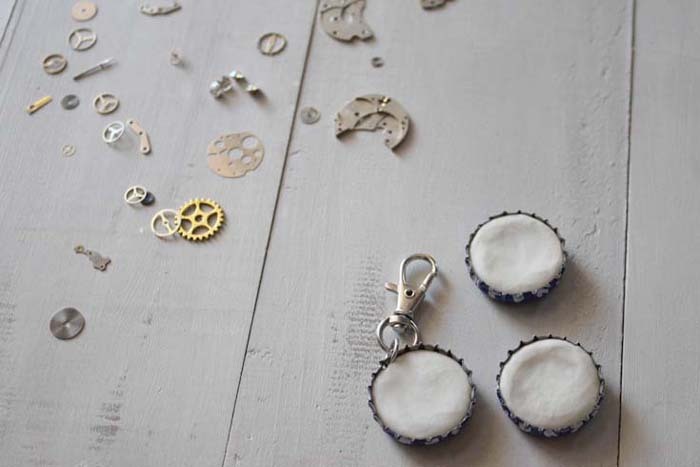 You now have a mason jar mold that can be used for a variety of craft projects! Read on to see how to use it to make mason jar candles. 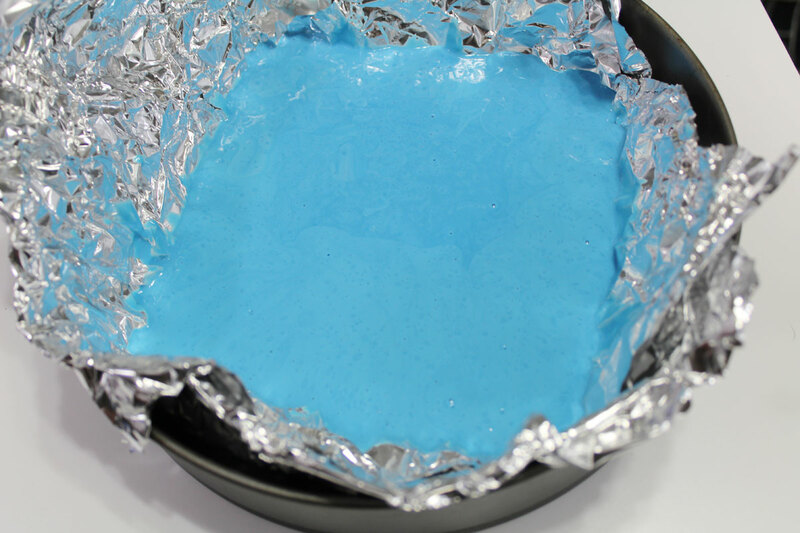 Begin by using the mold release and conditioner on your mold and on the bottom of a metal bowl. You will want to spray well twice allowing to dry in between sprays. Allow to dry completely from the second spray before continuing with making the candle. 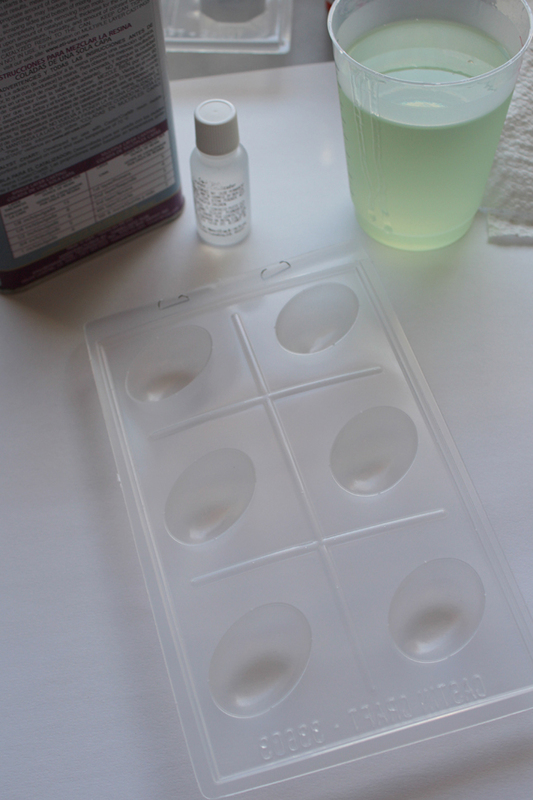 Add plastic mold sealer to the bottom of your mason jar mold making sure the area is completely covered. Press it down well into the bottom of a metal bowl. 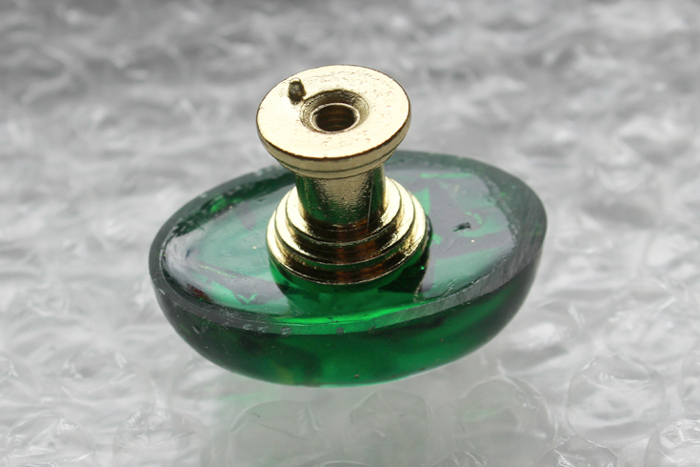 Add the plastic mold sealer to the bottom of your wick tab as well. Press it into the bottom center of your mold. 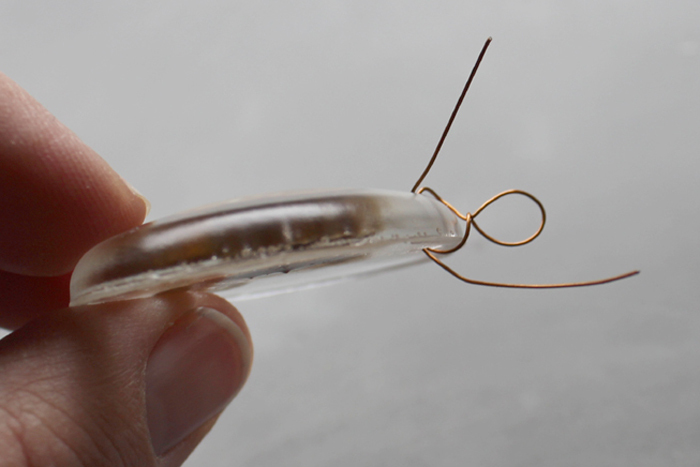 Use the wick clips to ensure your wick stays in the center of your candle. Melt the beeswax in the tin can. Create a “double boiler” by placing the tin can on the mason jar ring in a small pot of water. Melt it slowly and according to the package directions. Remember that wax is very hot so be cautious! I used about half of the block when making this mini mason jar candle. Once completely melted, pour into mason jar mold carefully. TIP: Use a hair dryer on high heat to heat the mold before pouring. The will help to prevent any voids in your candle. The metal bowl will catch any spills. Fill to the threads of the jar mold but be sure that the wick tabs are not in your wax. Remove those wick tabs while the candle is still warm but is set. This will take a while to cool completely. I waited 24 hours before touching mine. Wiggle the mold and candle until it releases from the bottom. The candle will release fairly easily from the mold. Wiggle a bit and push from the threaded end. The only edge that was not perfect was around the bottom. You can use a knife to shape and melt by heating an old skillet or holding a lighter around those areas. Trim your wick to size with scissors. The detail on the candle is amazing! I loved how the entire thing turned out. You can read all of the words and measurement markers that are on the jar itself. It is perfect! 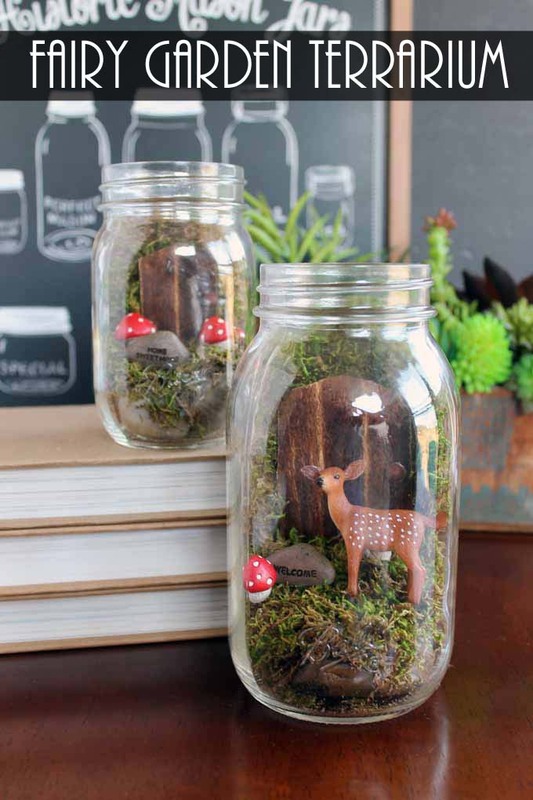 Make several of these mason jar candles for gifts or burn them all yourself. You can research different options with your DIY candle making as well. Add in scents and colors to your candles. The possibilities are endless! Will you be making mason jar candles or will you create a mold in a different shape? With this technique, you will look at everything with new eyes! 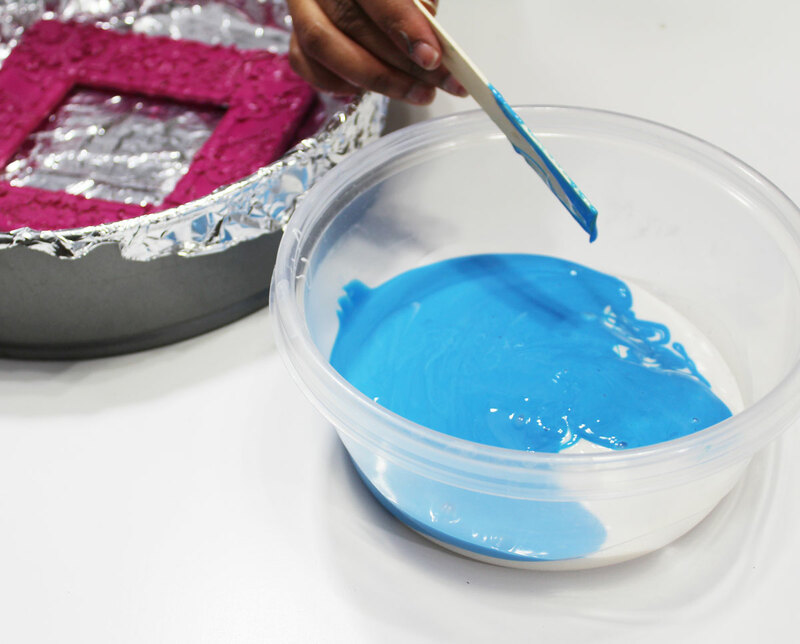 Grab your mold making materials and get started on some DIY candle making. This process may seem overwhelming but it was actually way easier than I thought it would be. Give it a try! I bet the results will be amazing! 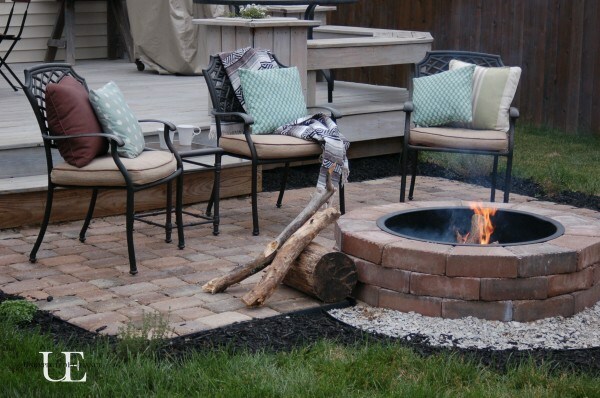 Now that Spring has officially sprung, we’re all gearing up for more time outdoors. 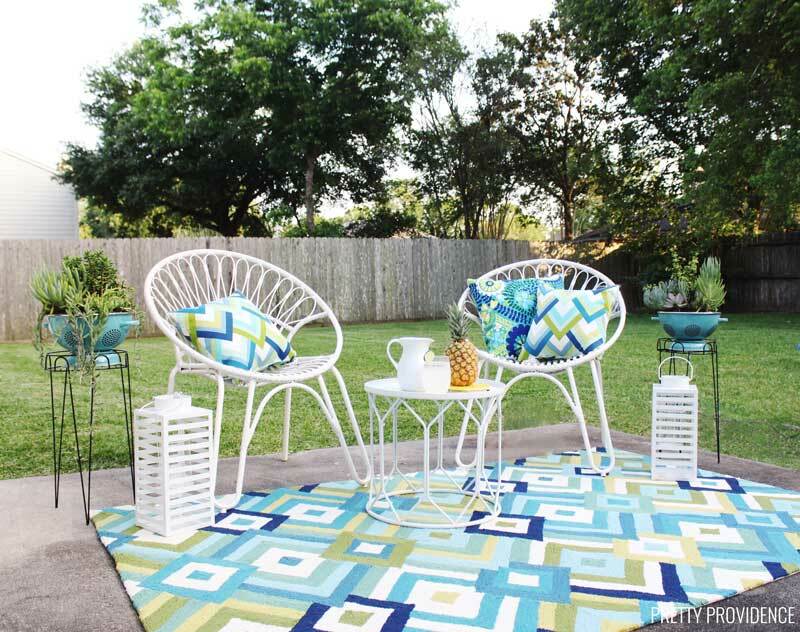 It’s a great time to think about your outdoor decor and sprucing up your garden and patio areas. 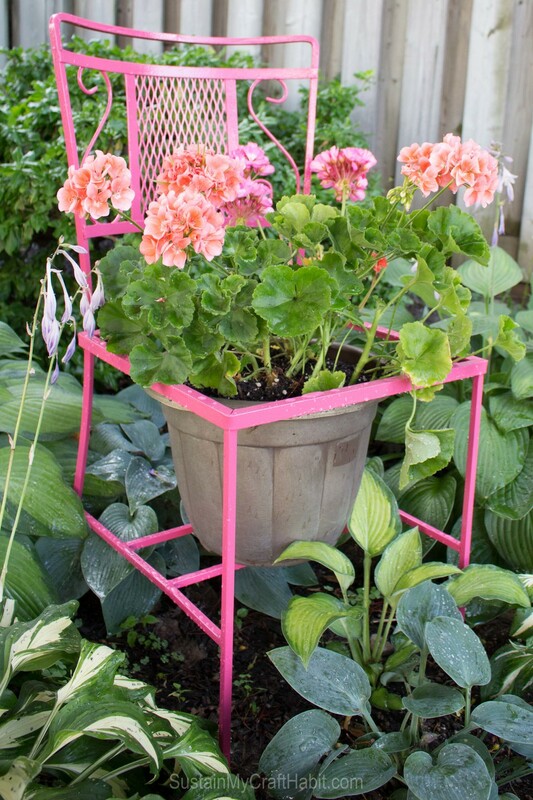 Whether you’re working with a ton of space or you’ve only got a few square feet of yard space, you can find a ton of DIY Garden and Patio Crafts to Make Your Outdoor Space POP!